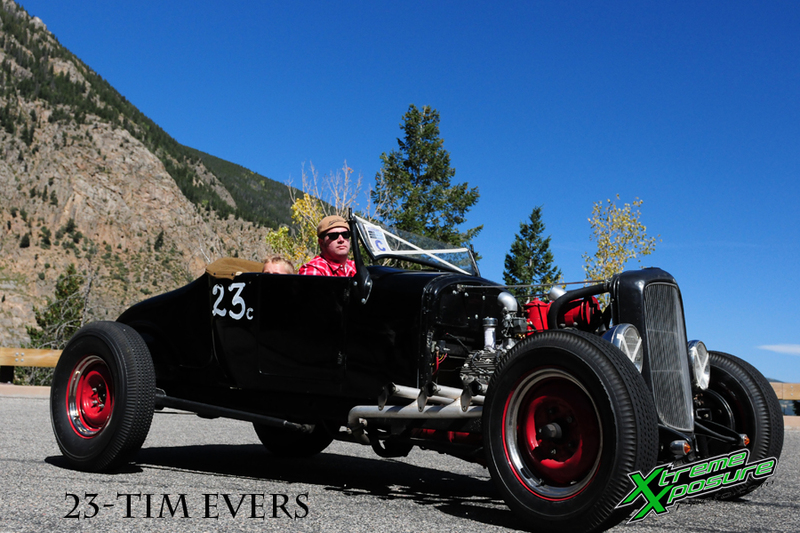 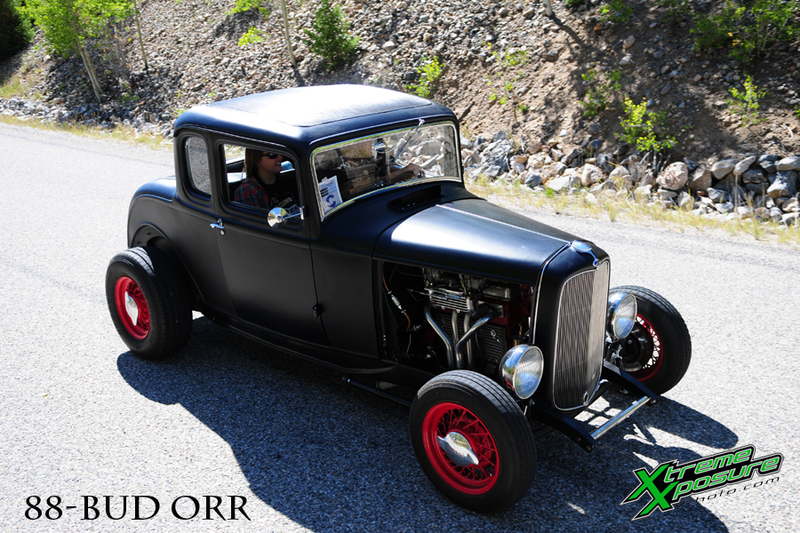 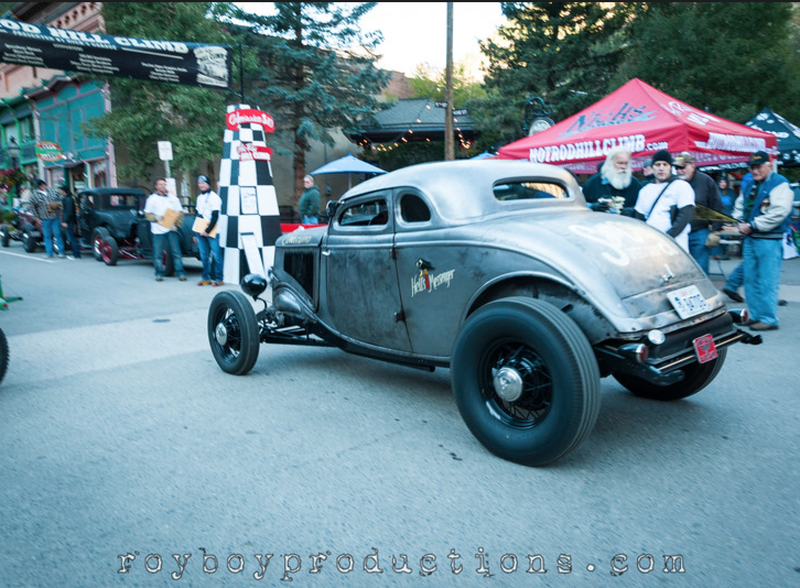 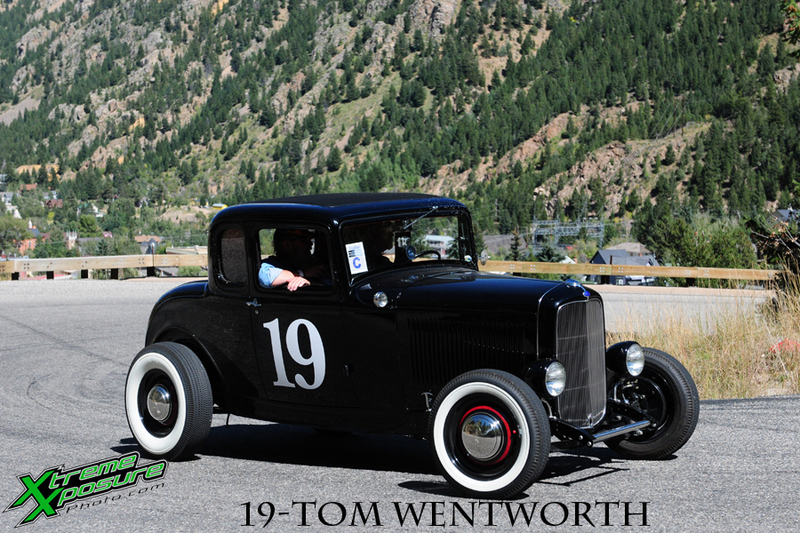 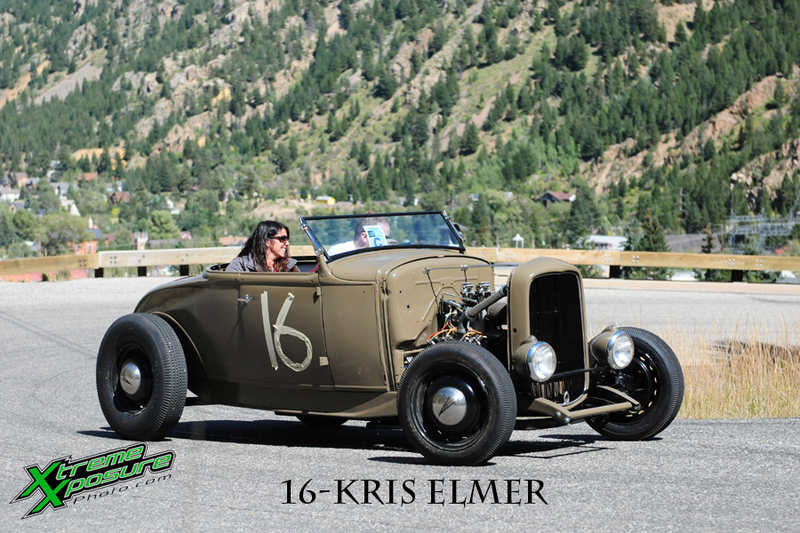 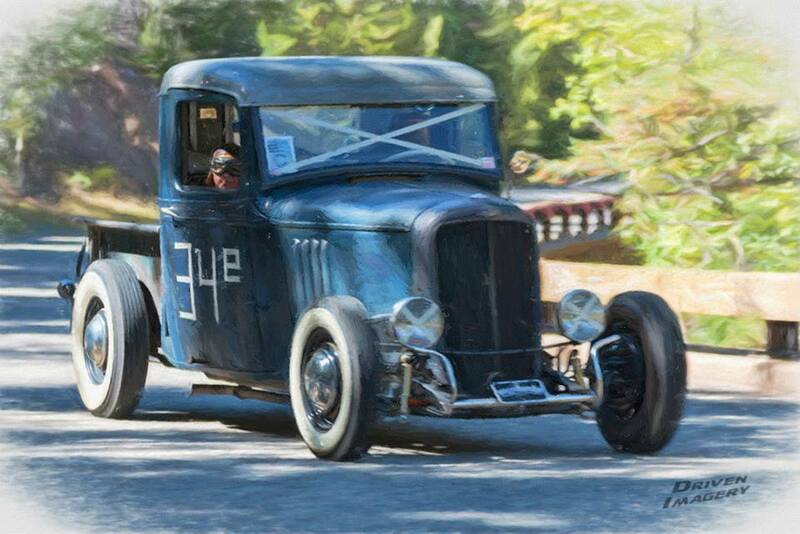 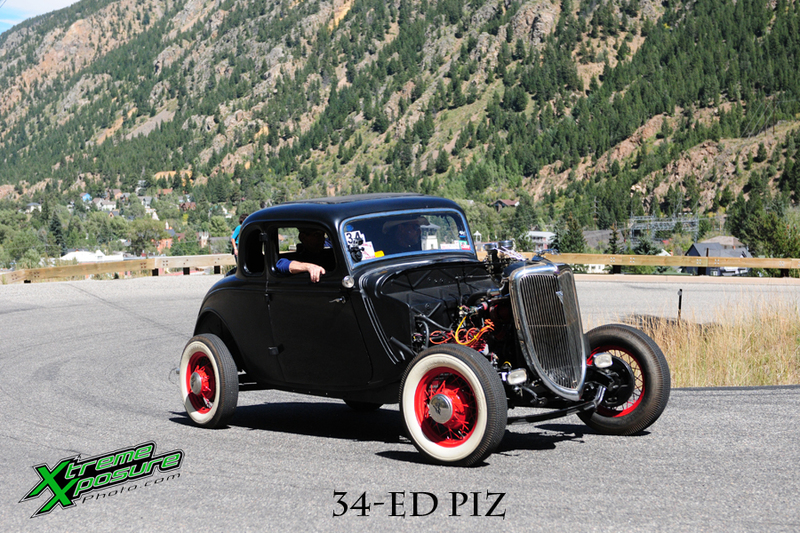 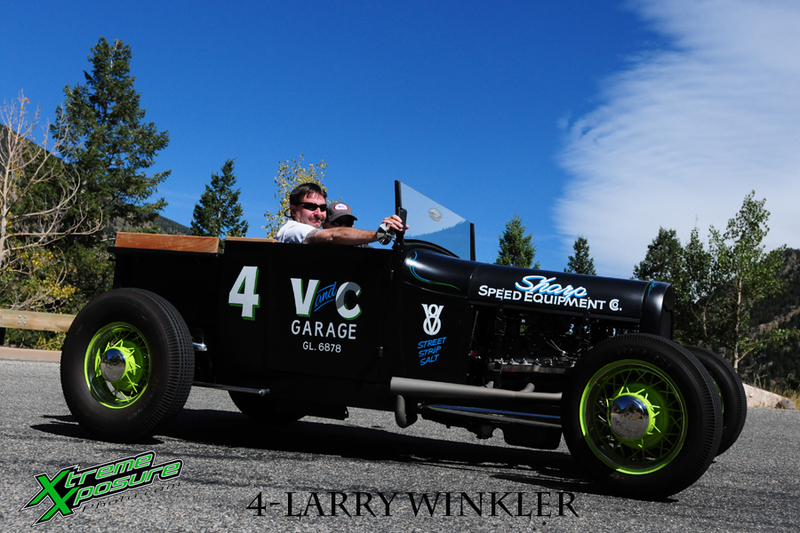 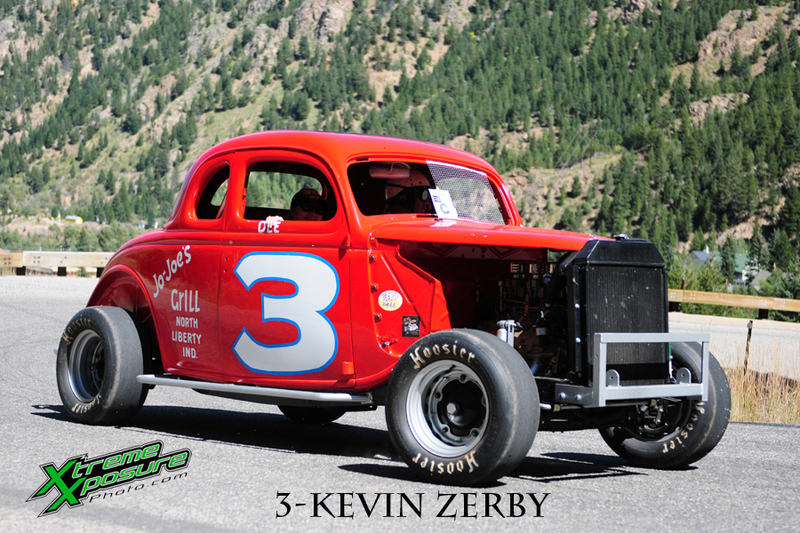 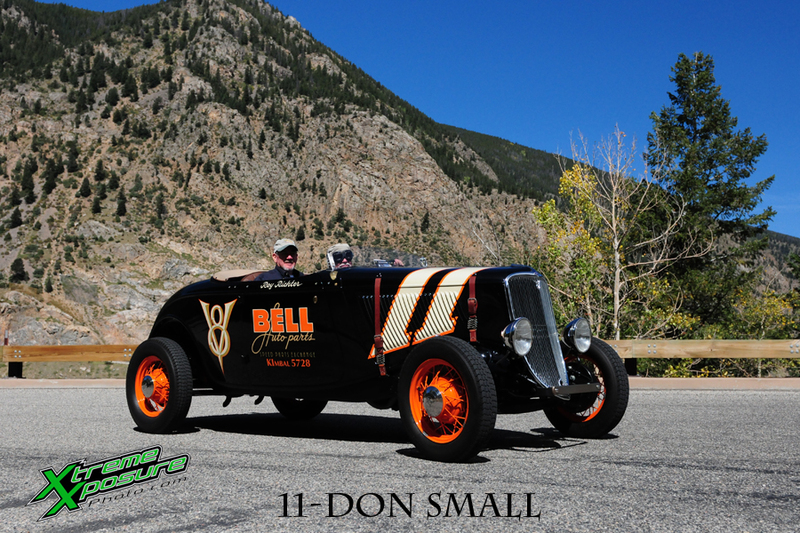 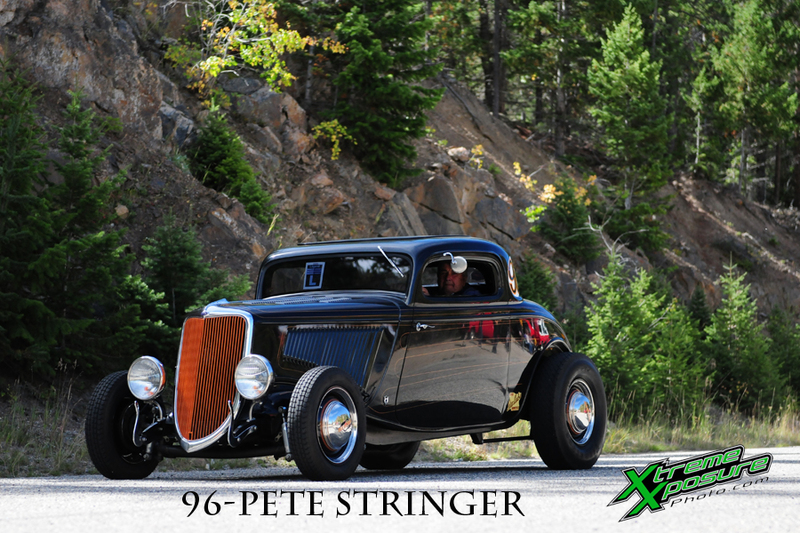 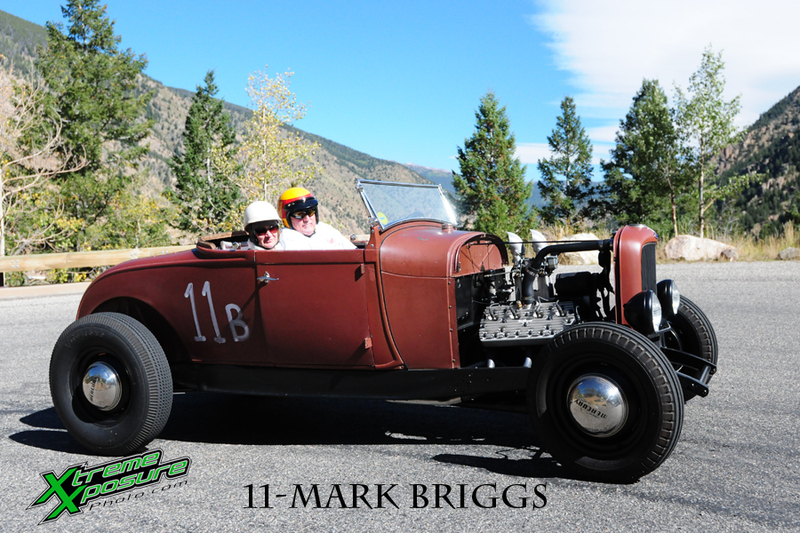 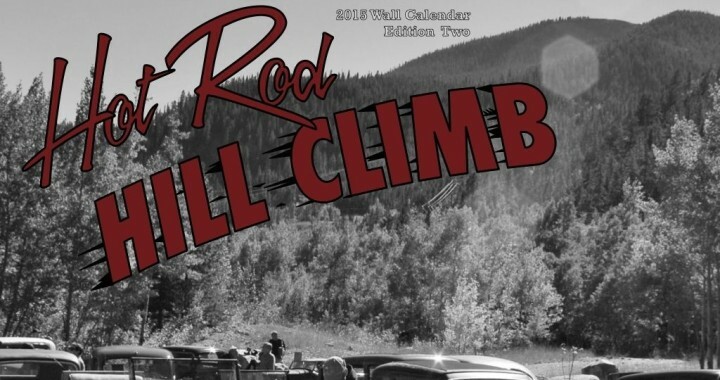 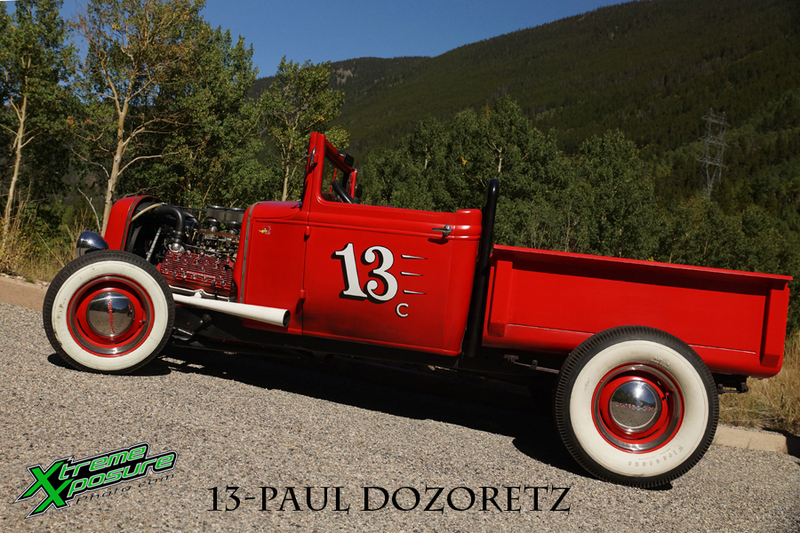 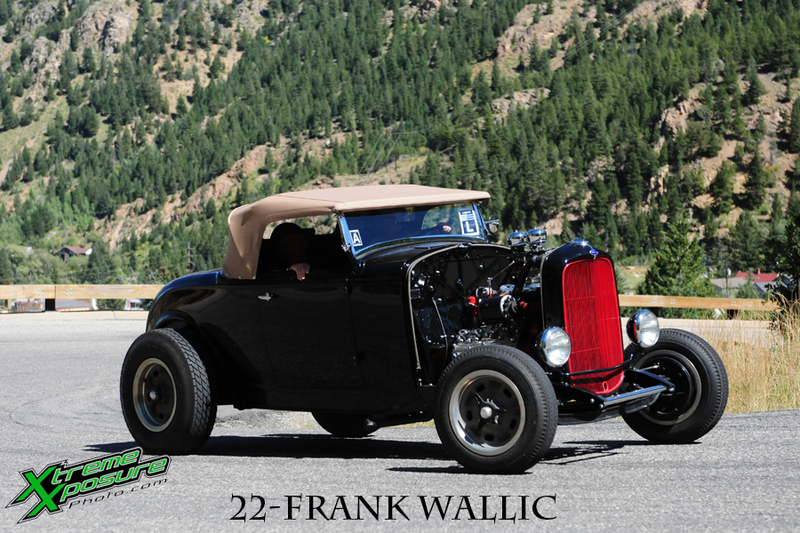 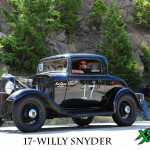 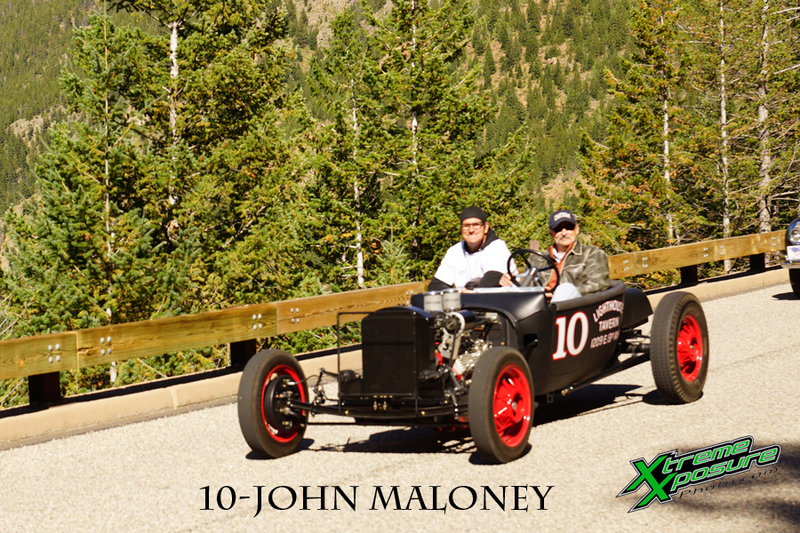 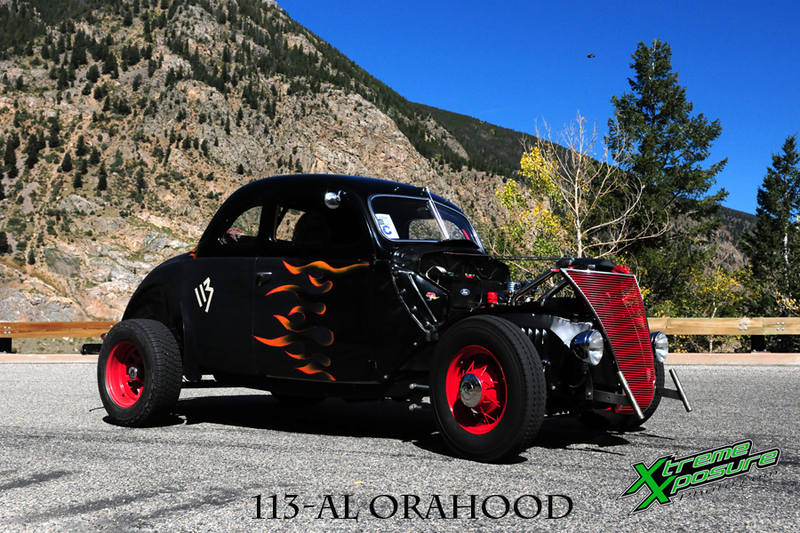 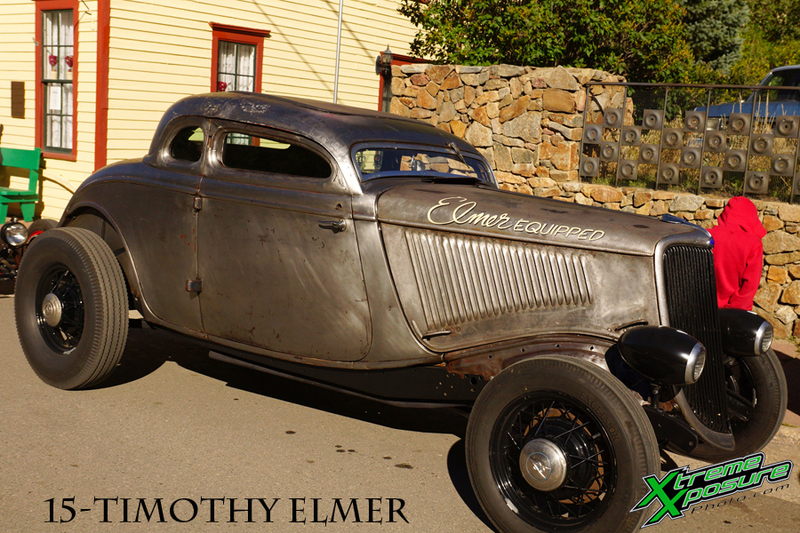 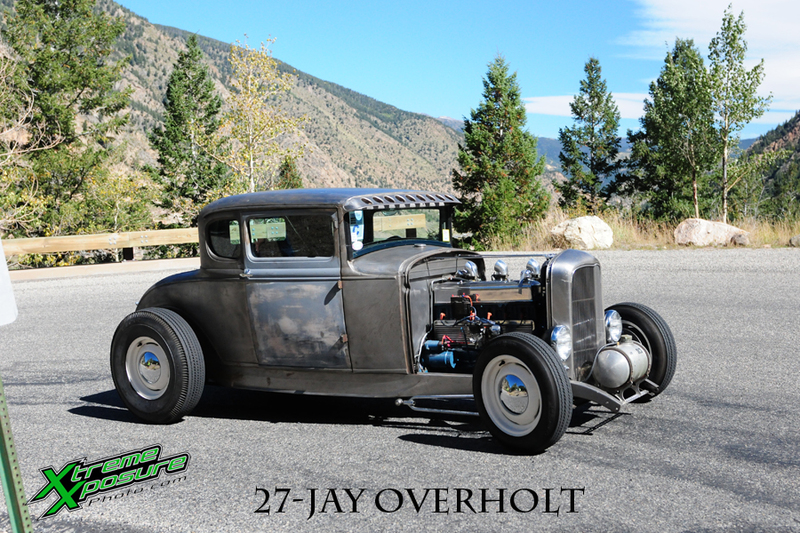 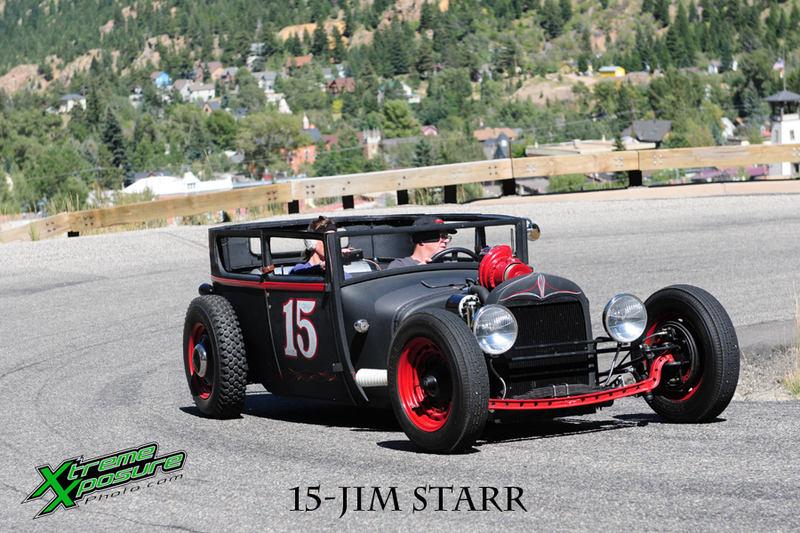 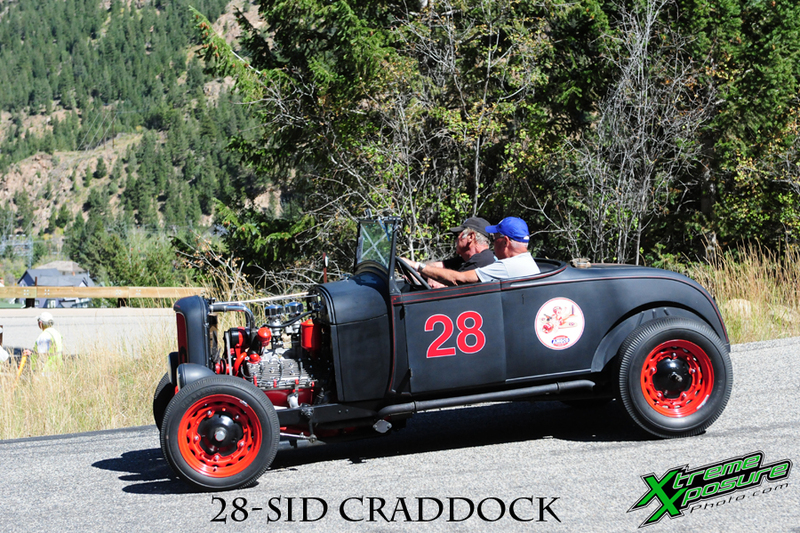 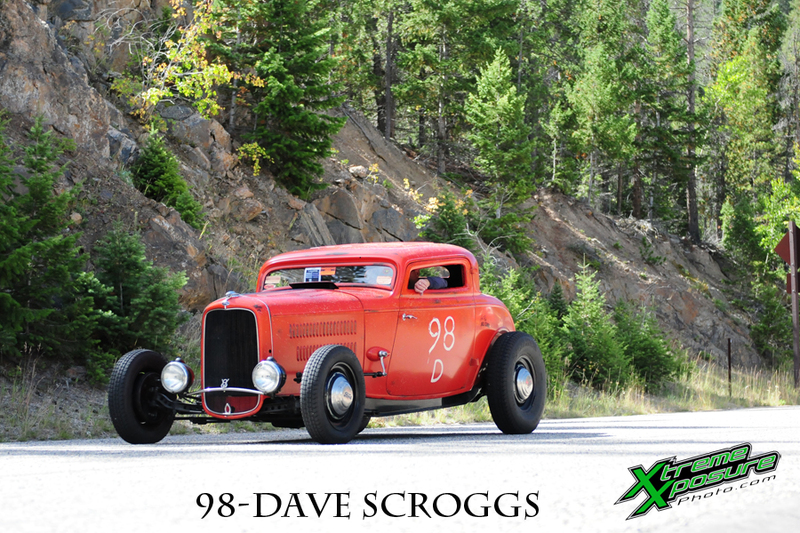 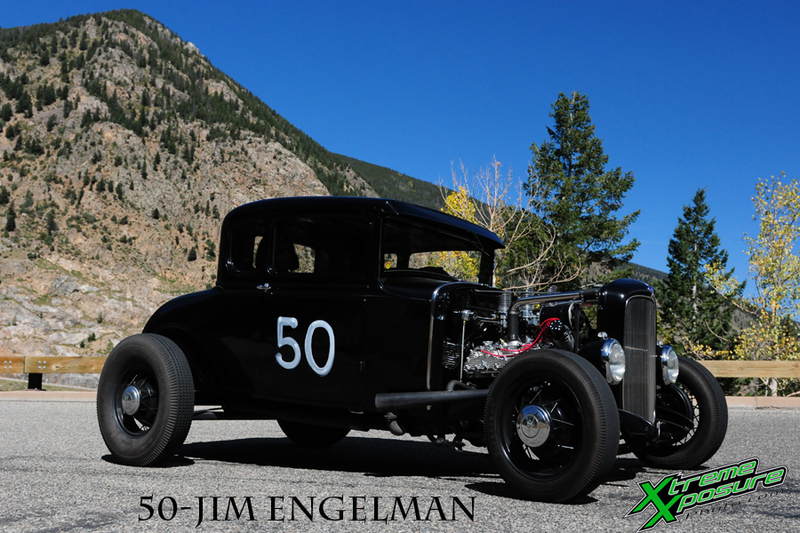 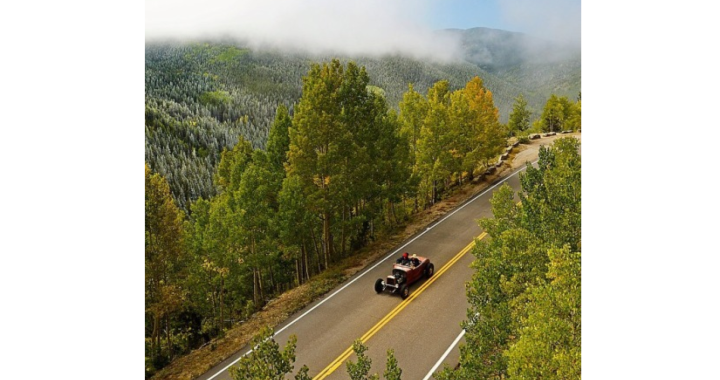 The 2015 Hot Rod Hill Climb Calendar! 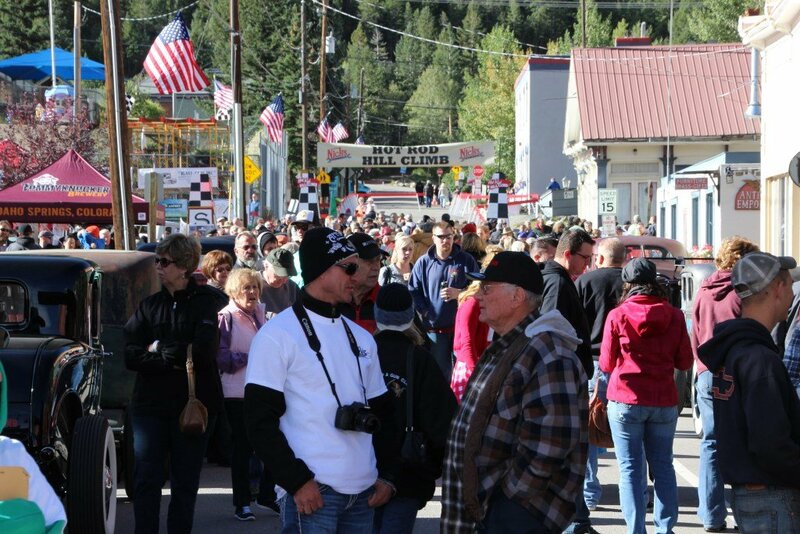 We are honored that so many wonderful photographers showed up and took incredible photos. 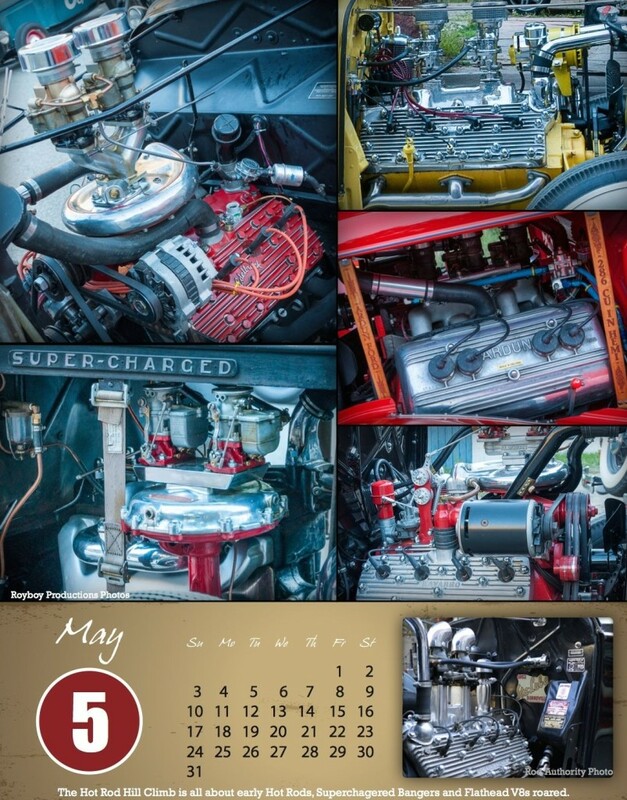 Place an order of $100 or more, add a Calender to your cart, enter this code FREECALENDAR at check out and get your calendar FREE! 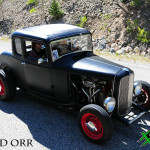 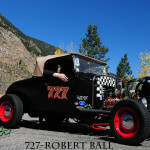 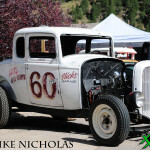 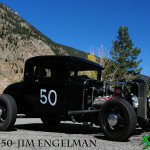 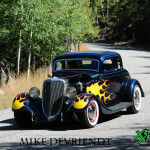 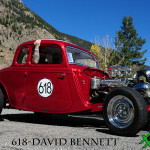 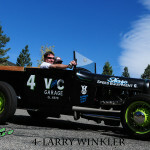 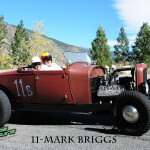 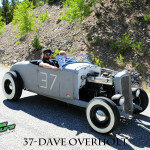 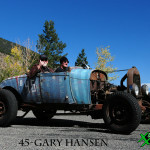 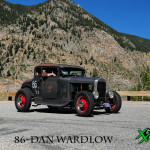 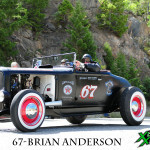 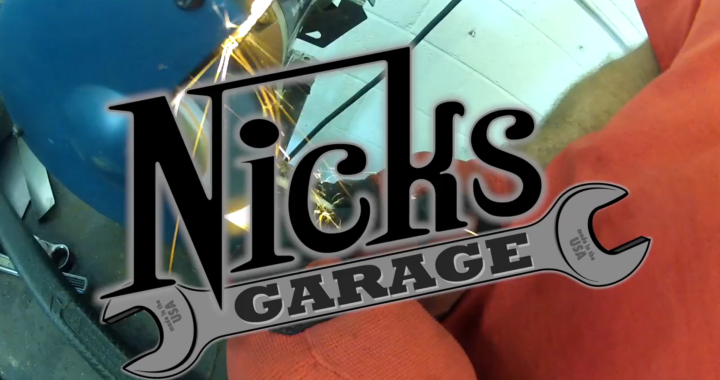 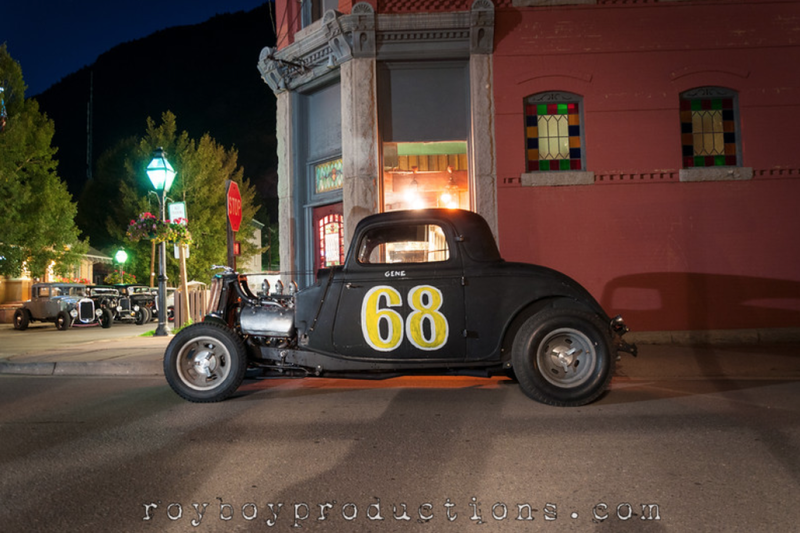 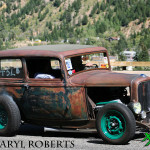 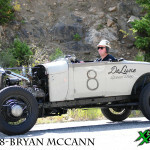 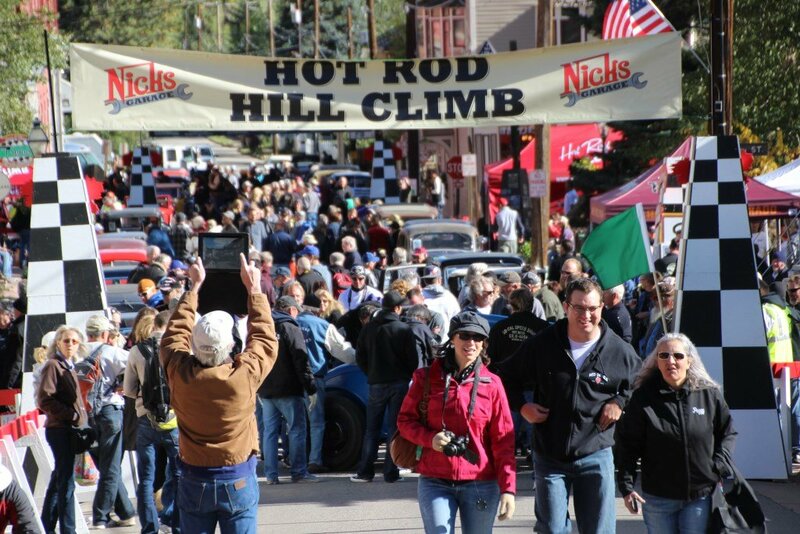 Adam Reynolds of Acentric Video pulled off another stellar video for Nicks Garage and Hot Rod Hill Climb! 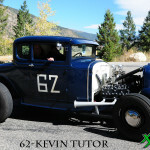 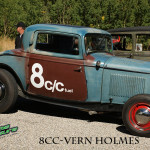 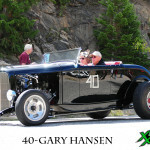 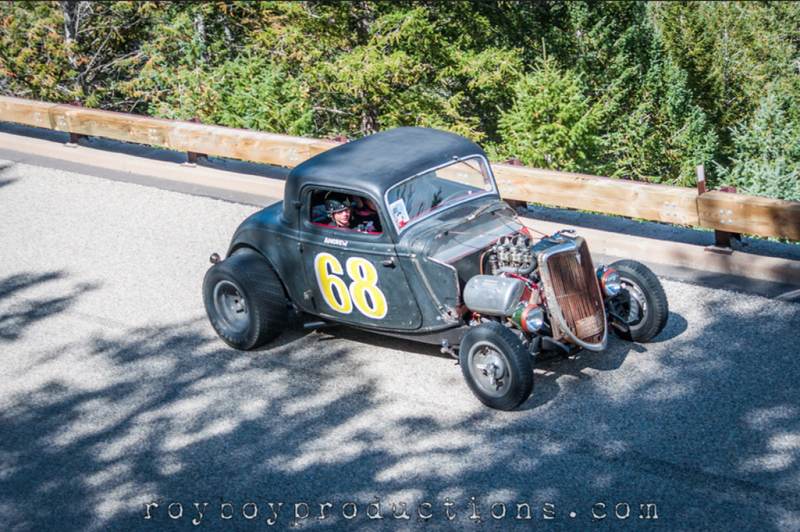 The Vintage video is 8mm that was taken by Vern Holmes at the 1954 Hot Rod Hill Climb. 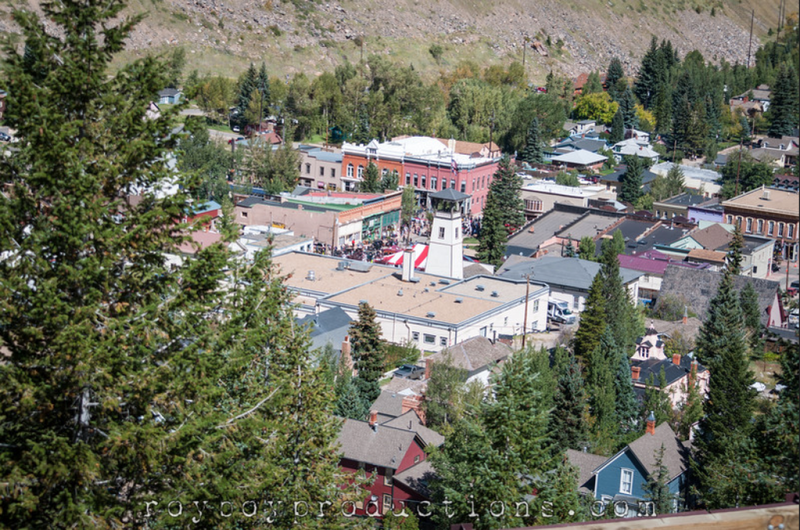 The Aerial was taken by Bob Broom. 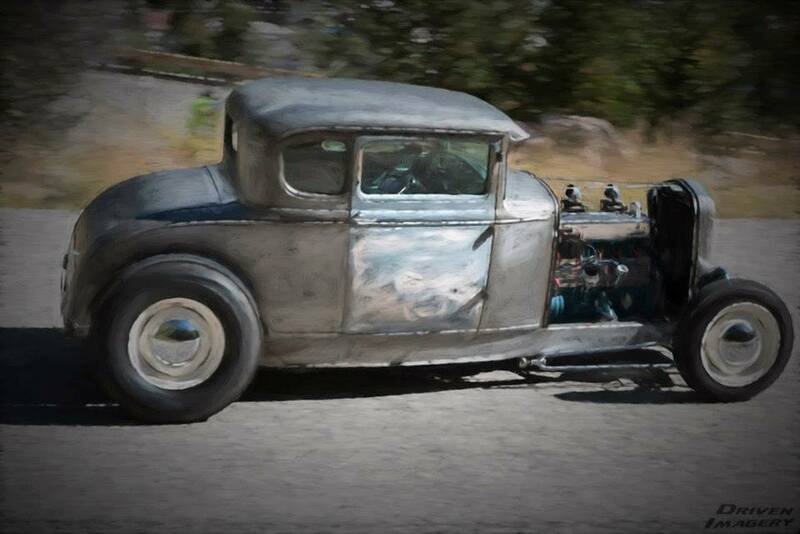 Some of the vintage stills were taken by Pete Garramone. 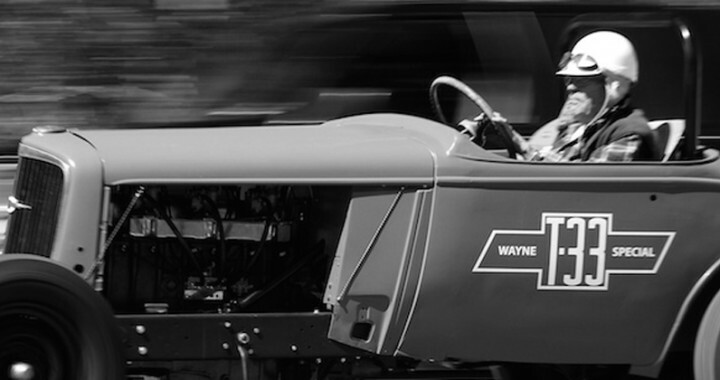 Thank you for getting on board with us. 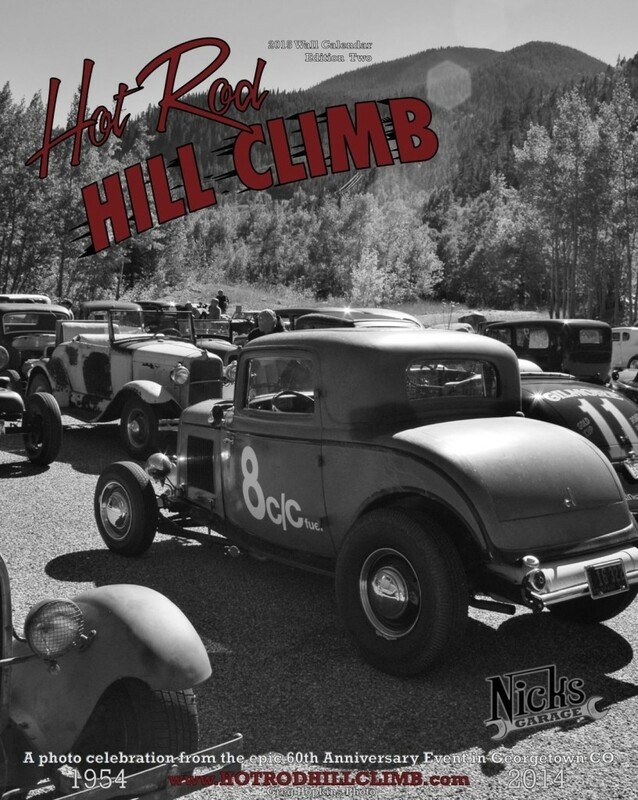 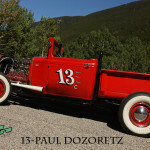 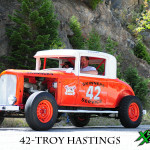 About the Hot Rod Hill Climb and T33 Build from Adam Reynolds on Vimeo. 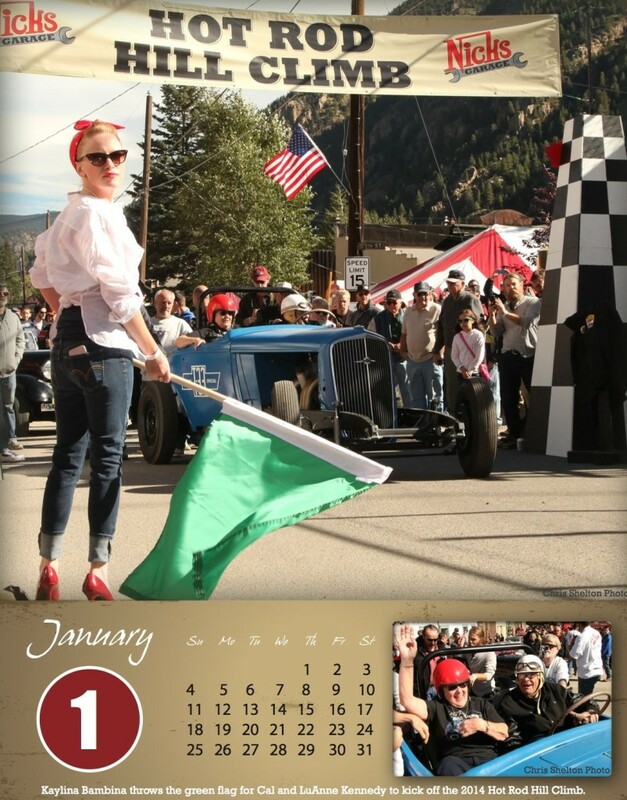 Here is a link to the 2013 recap. 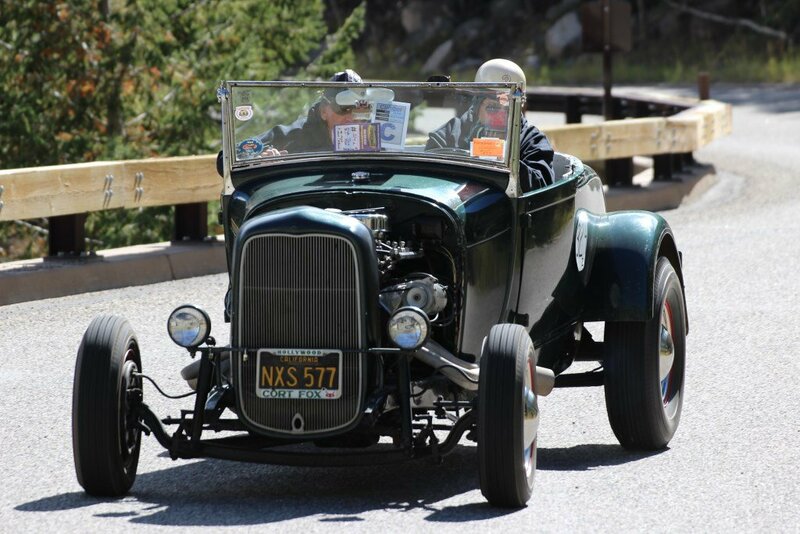 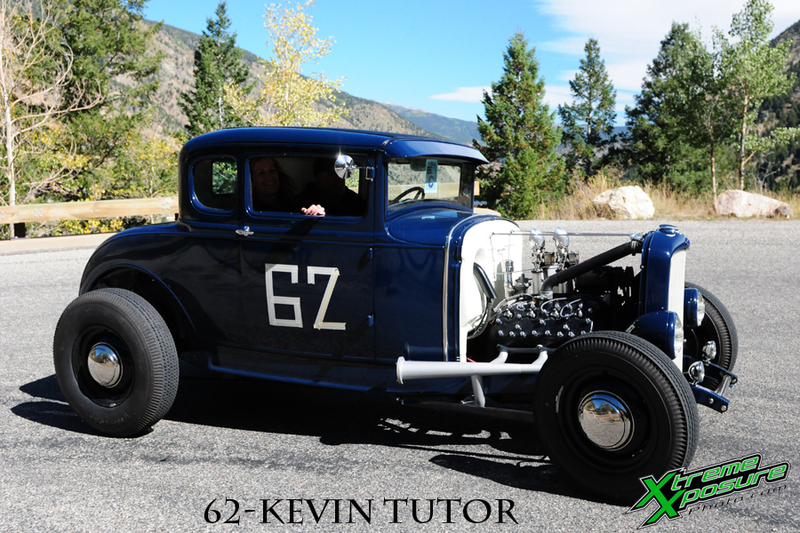 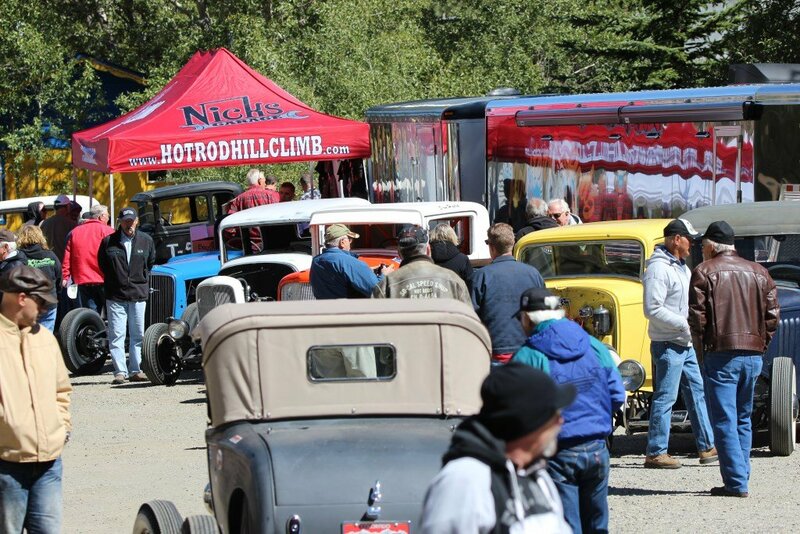 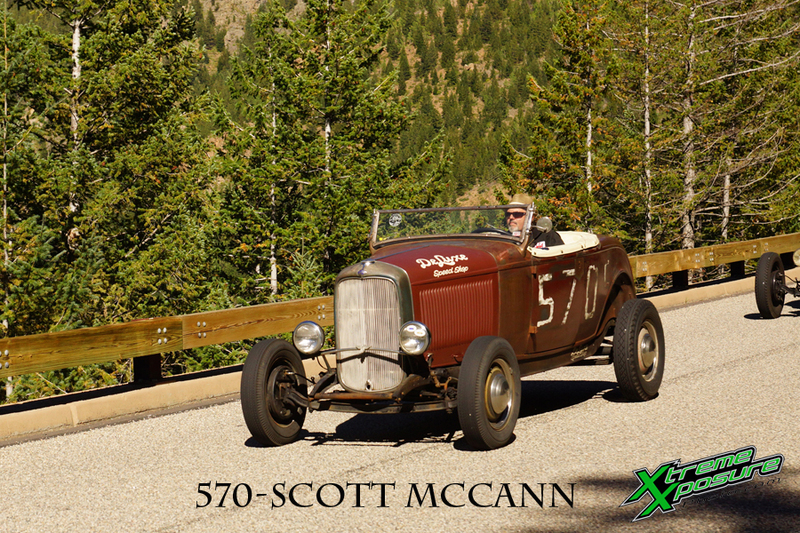 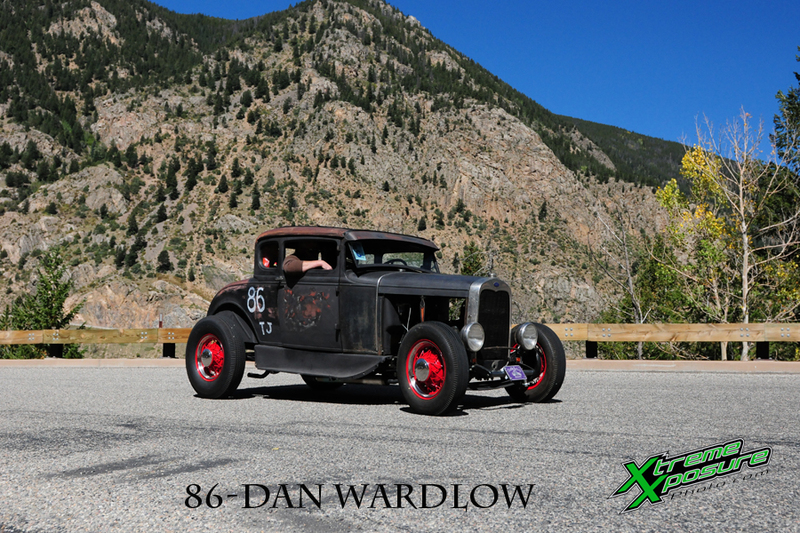 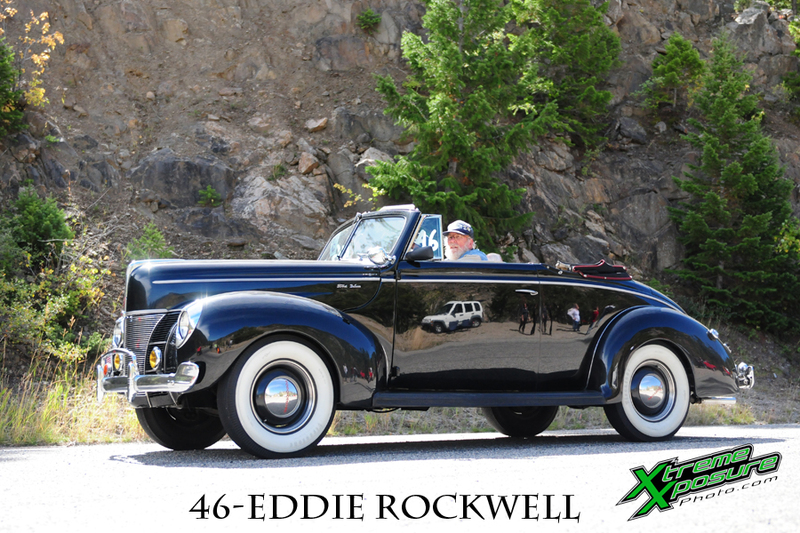 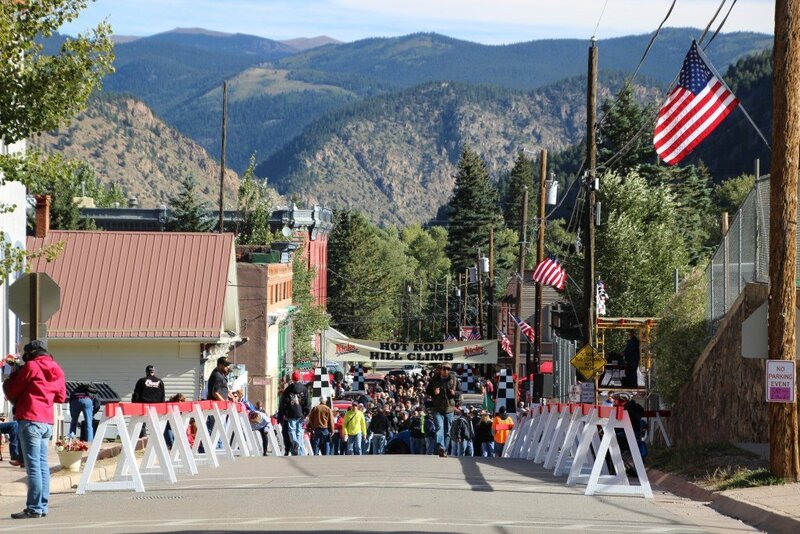 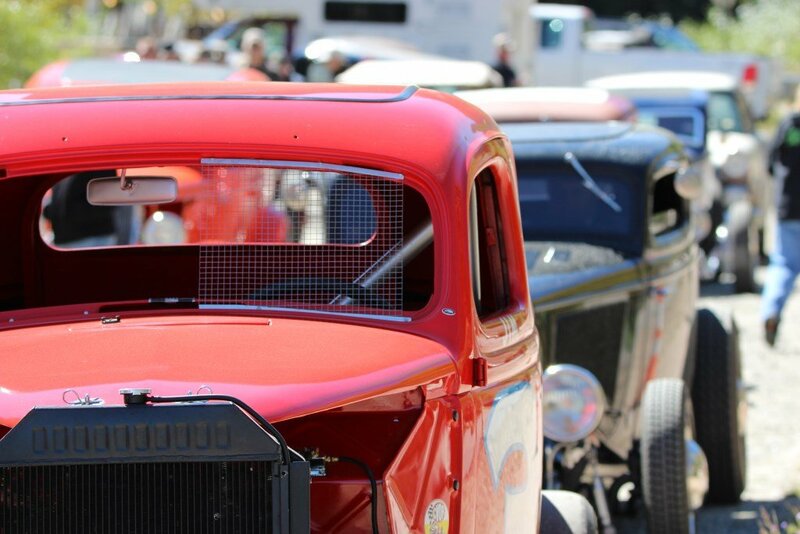 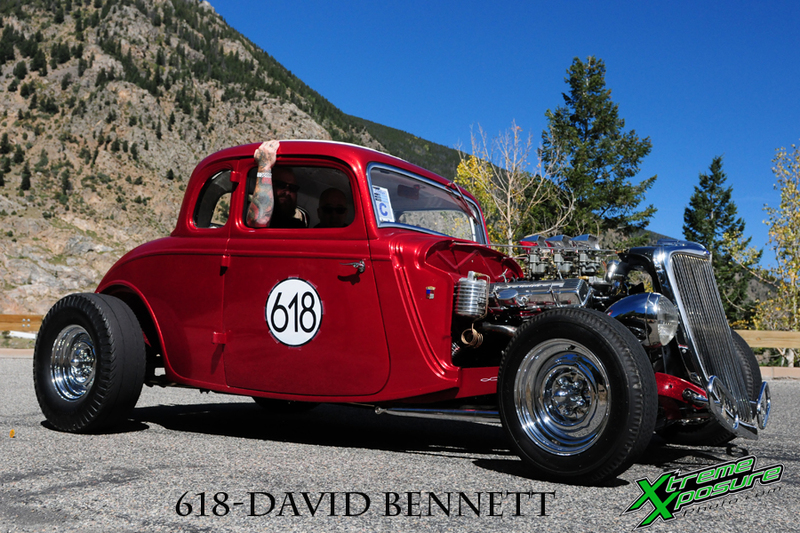 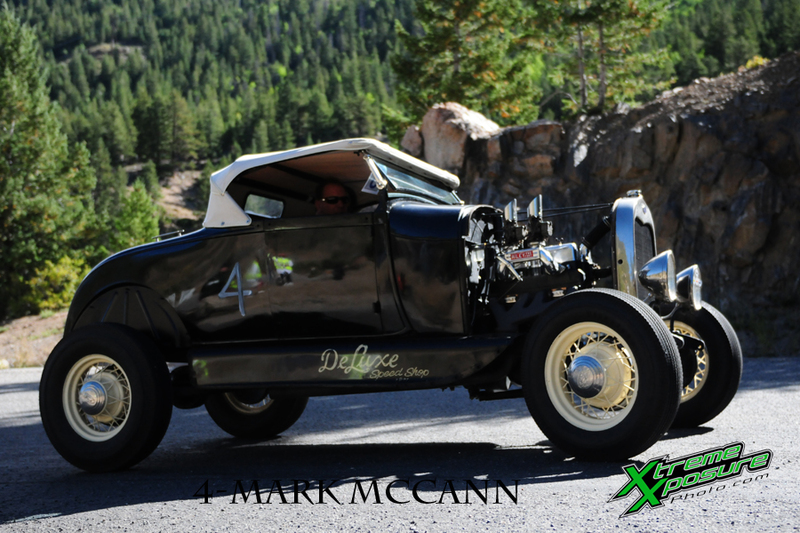 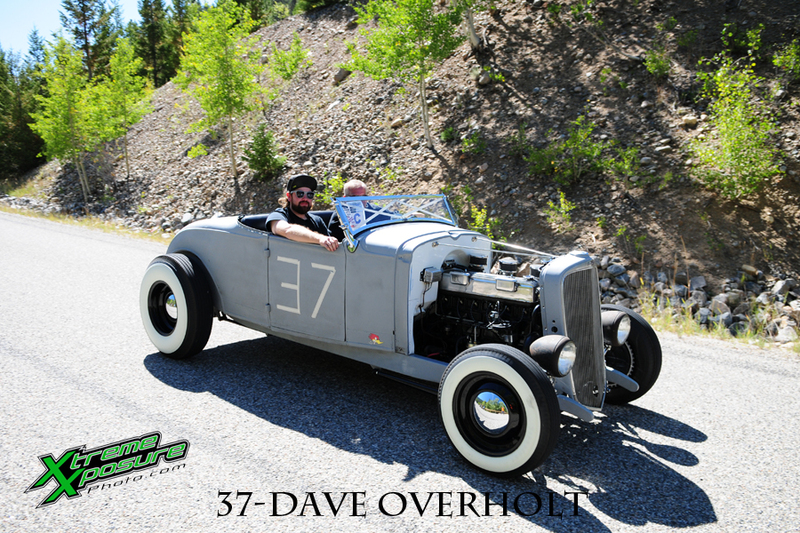 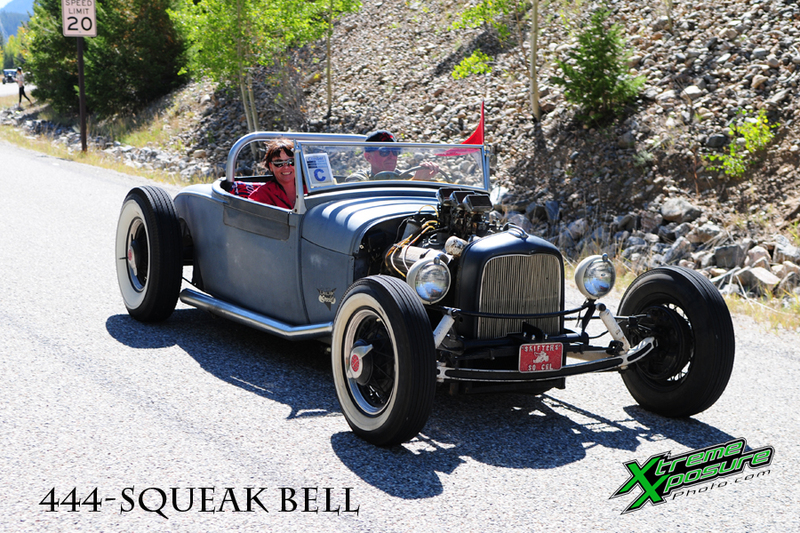 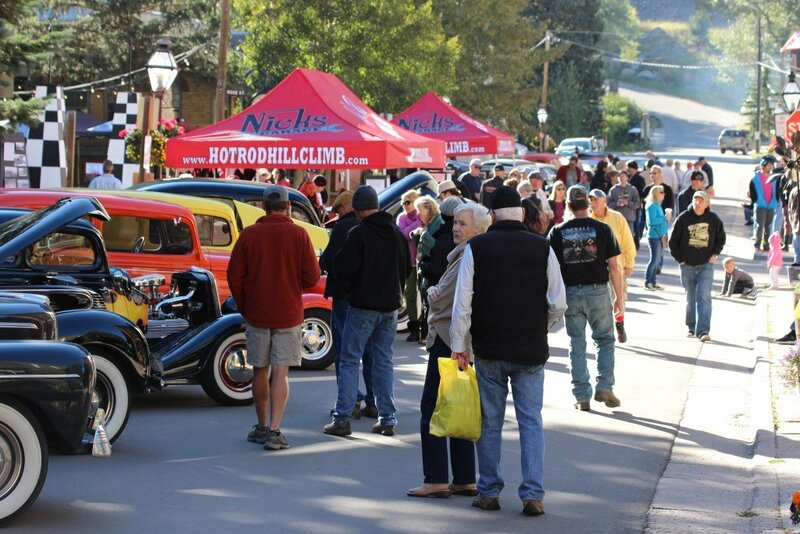 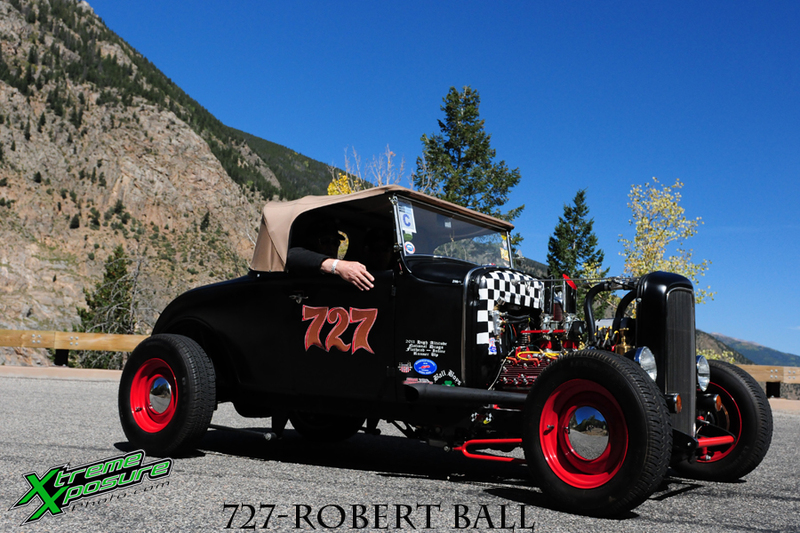 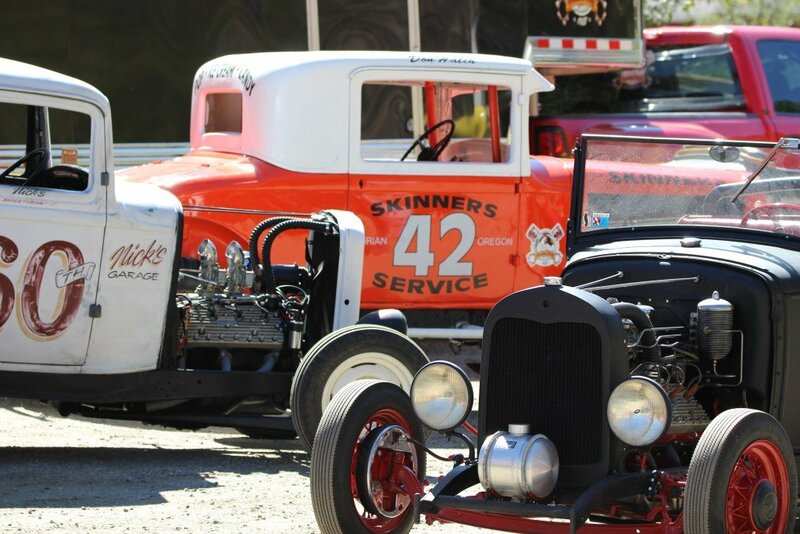 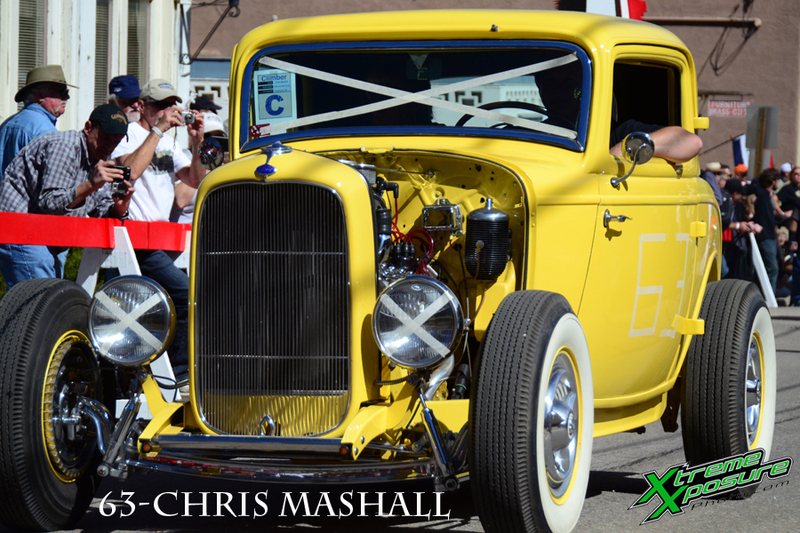 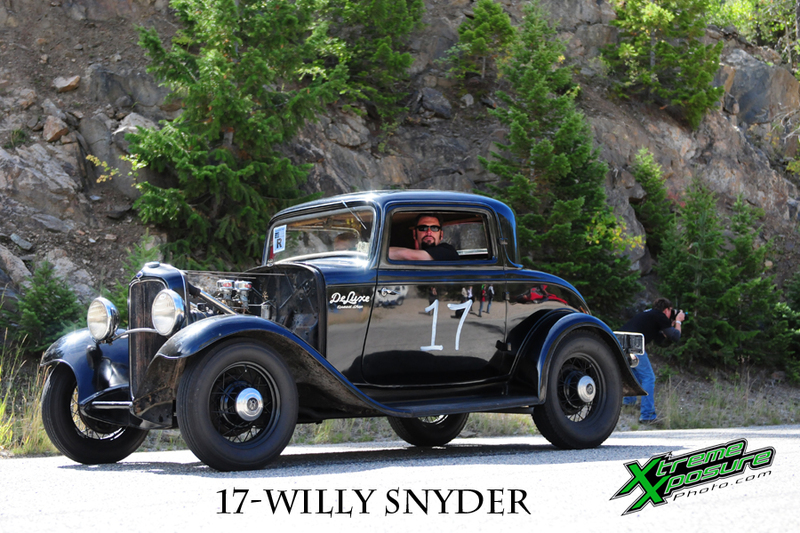 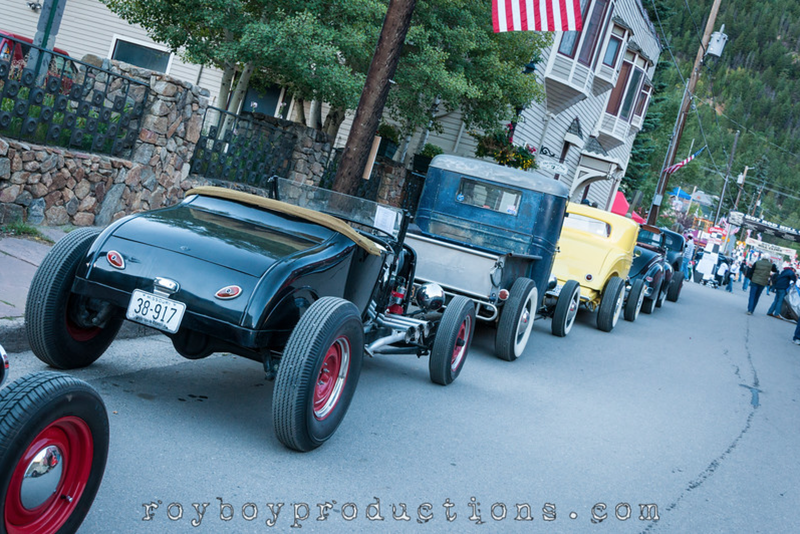 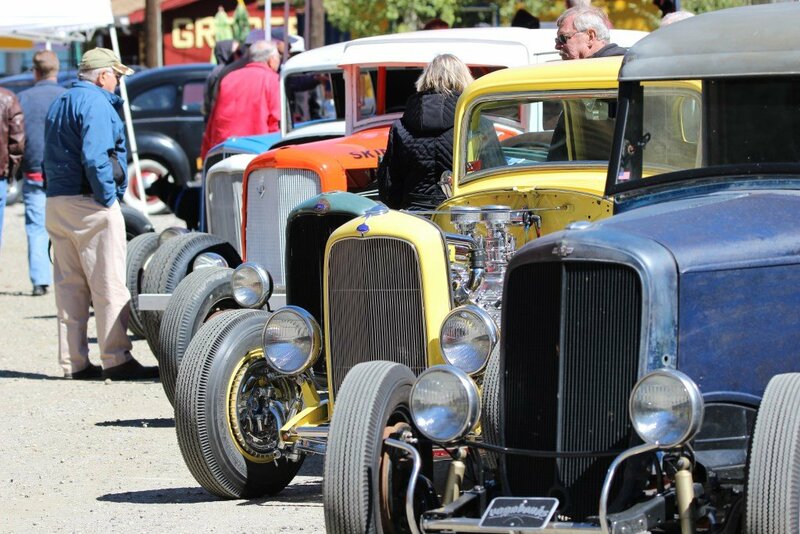 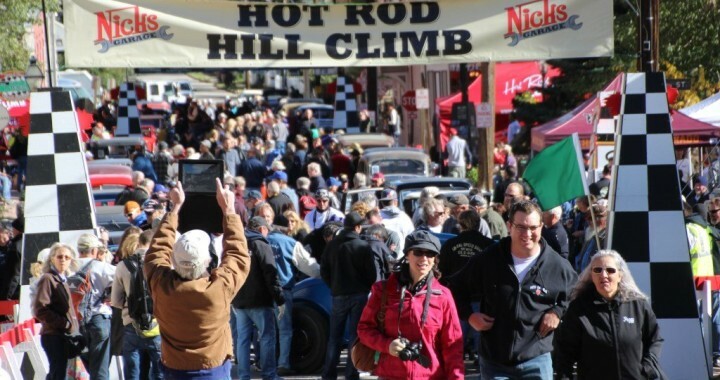 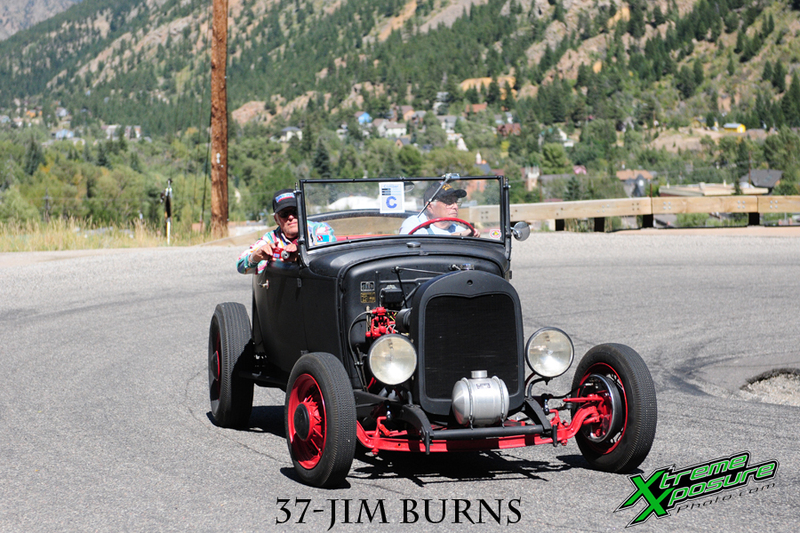 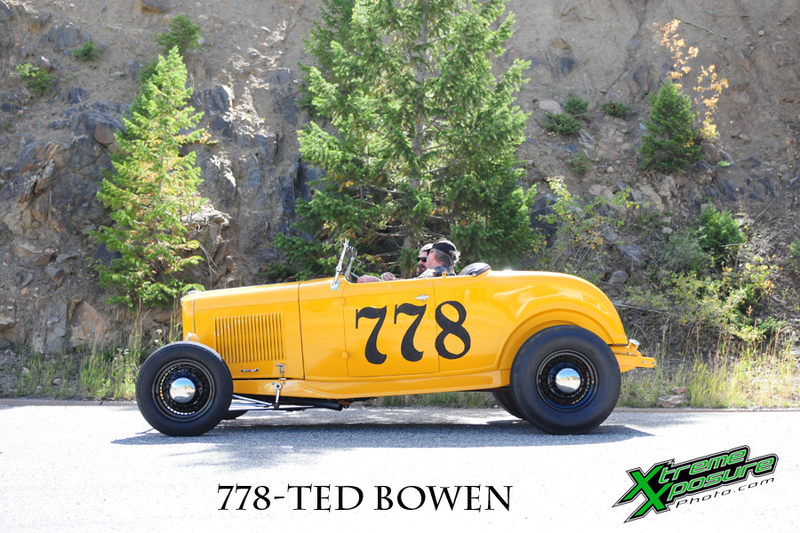 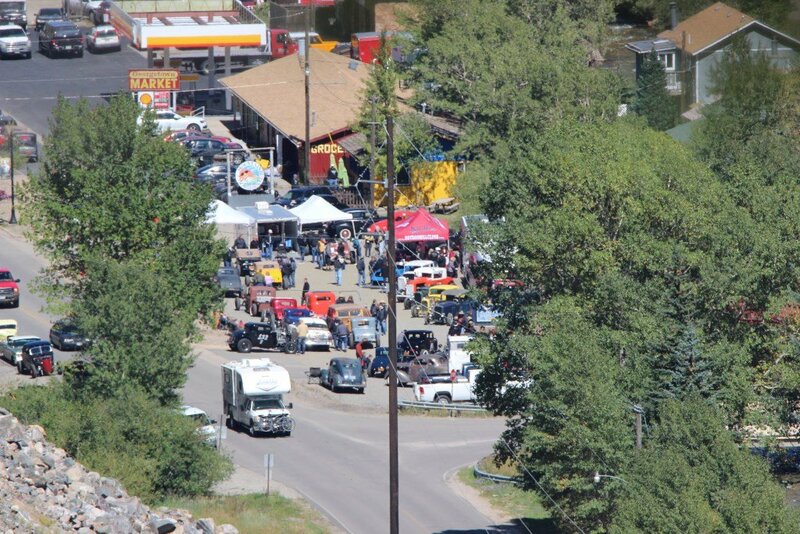 These are the 75 Hot Rods that were 2014 Hot Rod Hill Climb participants! 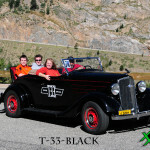 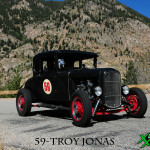 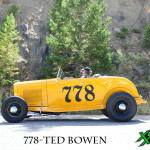 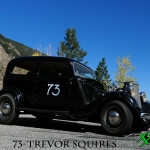 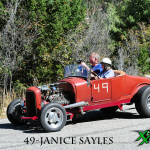 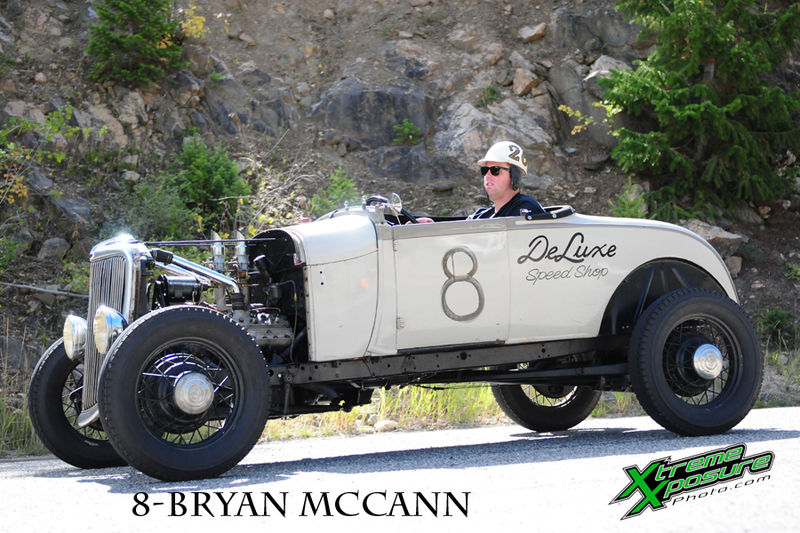 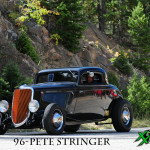 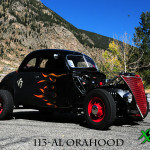 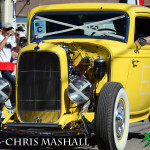 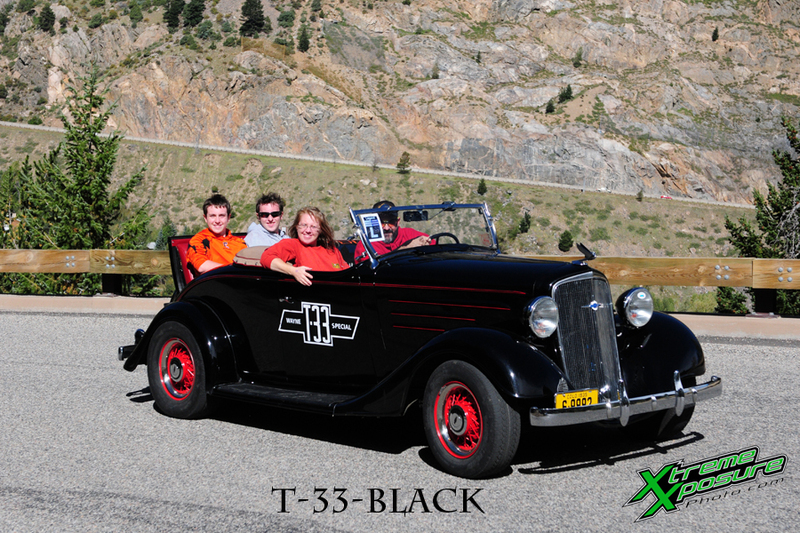 These and many more photos can be purchased from Steve at XtremeXposurePhoto, he has them grouped by name and car number! 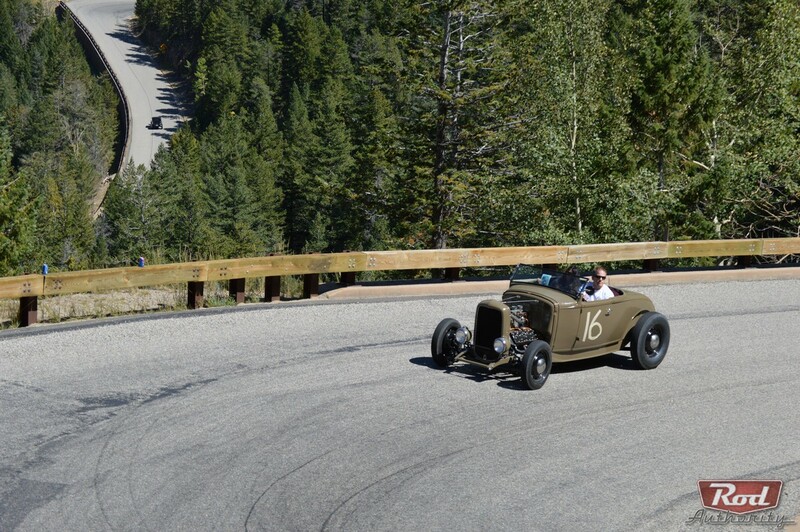 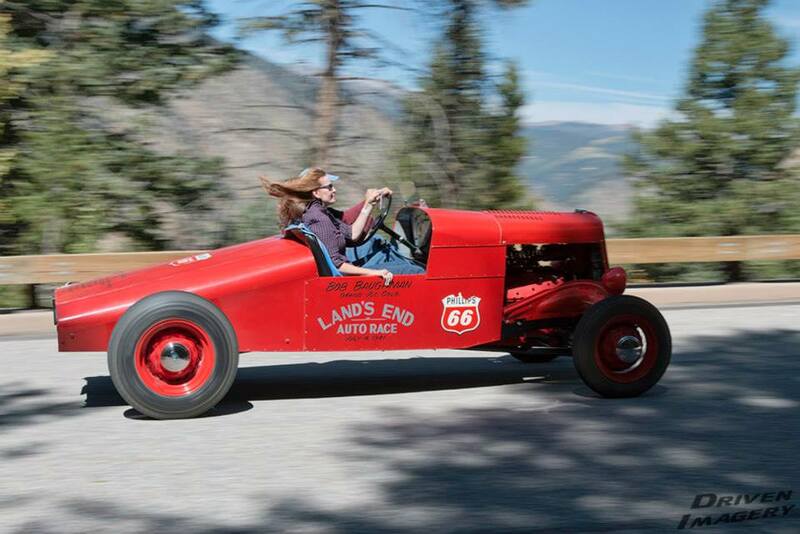 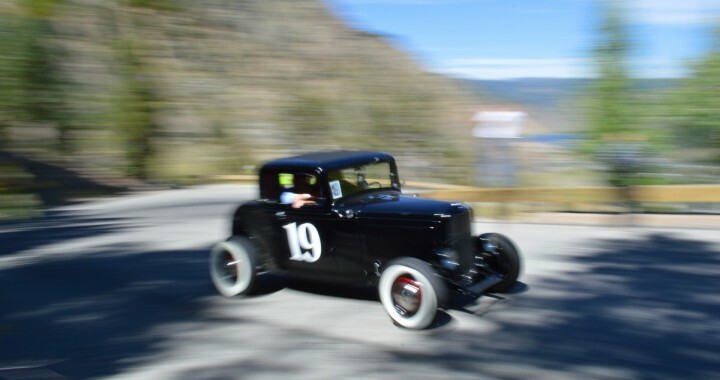 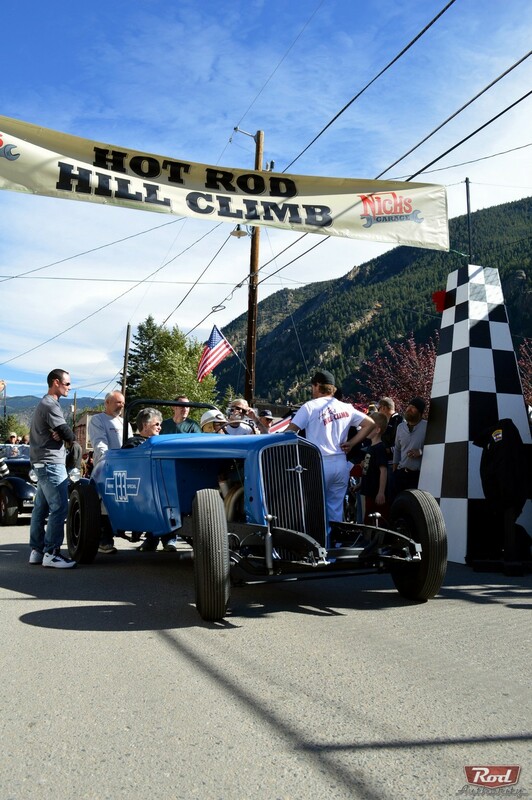 Lindsey Fisher wrote a wonderful article on the 2013 Hot Rod Hill Climb last year, and this year she did the same. These are some of my favorite photos she took for Rod Authority. 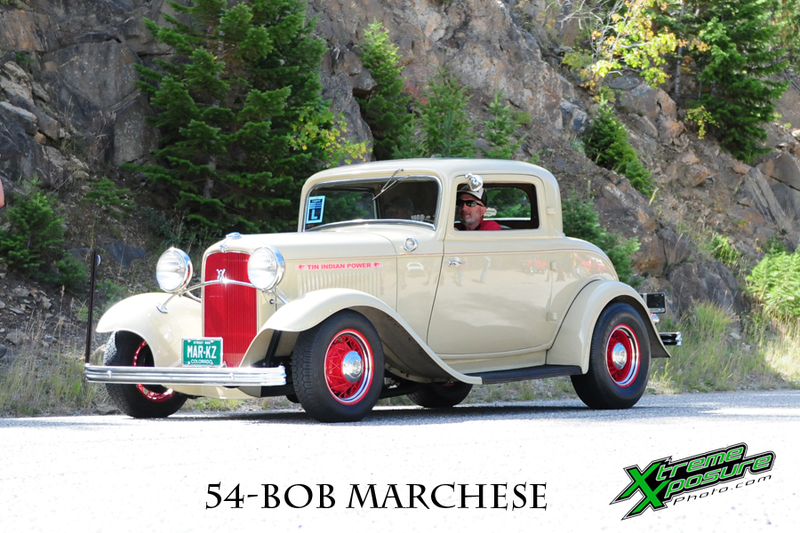 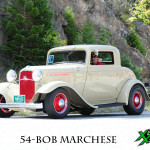 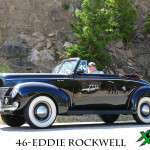 I was really excited to have Bob Marchese at the event, he is one of the original Strippers, the driving force behind the 1953 and 1954 Hot Rod Hill Climbs. 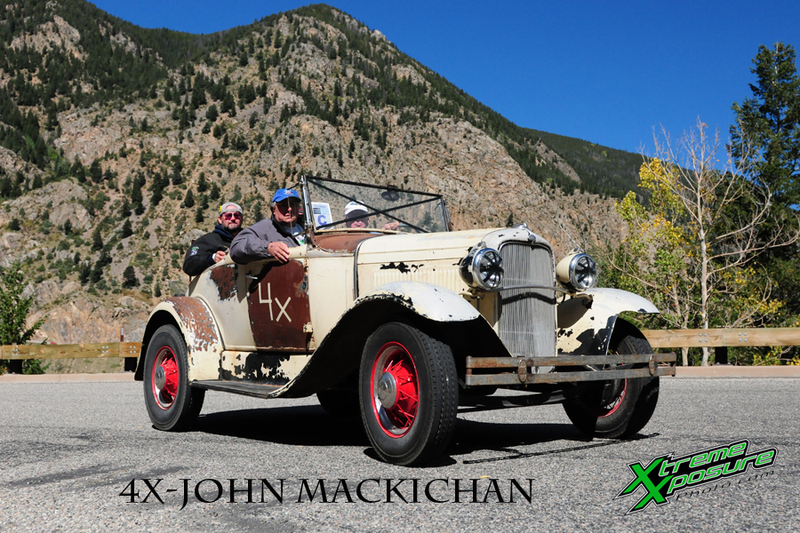 Our friends from Speedway Motors, the Mackichan crew, they earned the run in the sun, Friday they took on mother nature on the chilly Reliability Run! 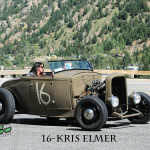 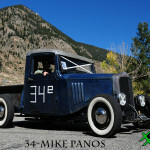 Thanks to Mike Rogers of Driven Imagery, he took some amazing shots that weekend, and has them available for you here. 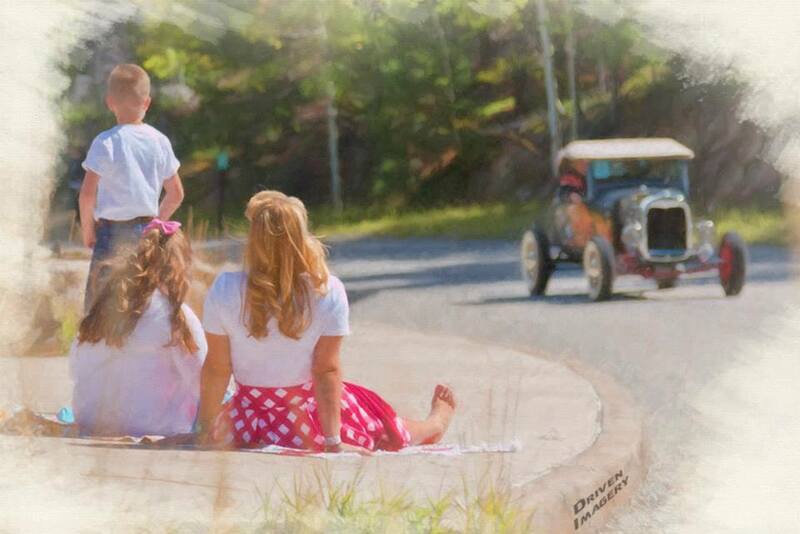 He can do some artistic things to these images too! 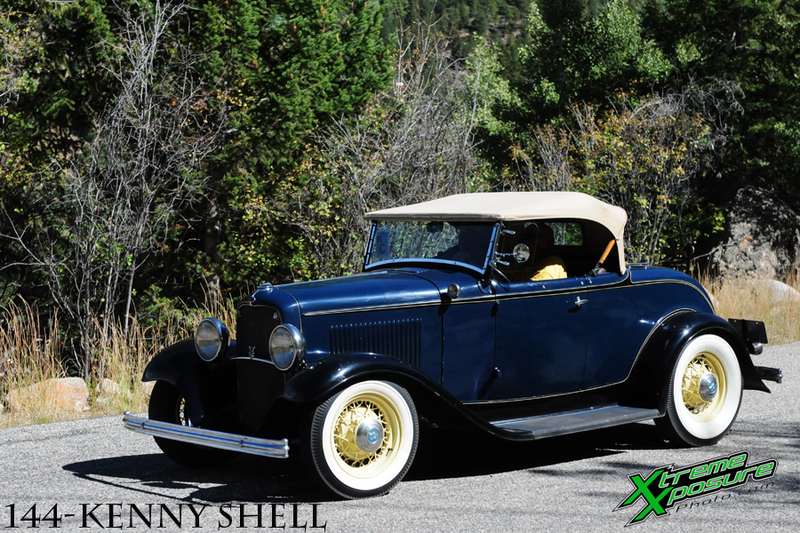 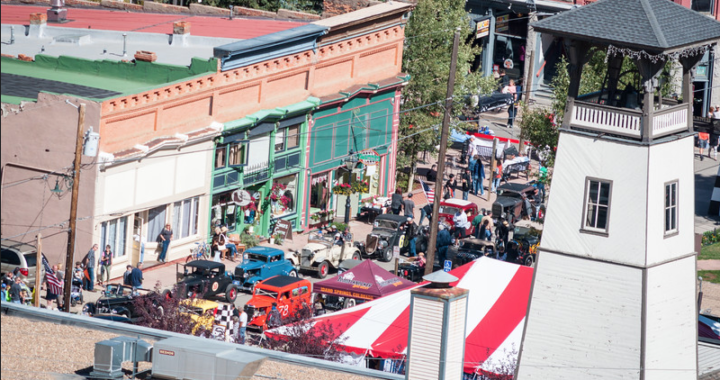 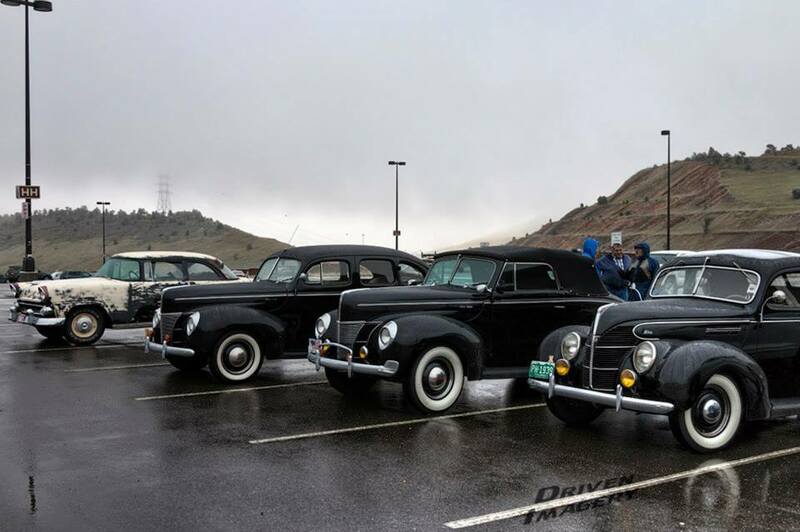 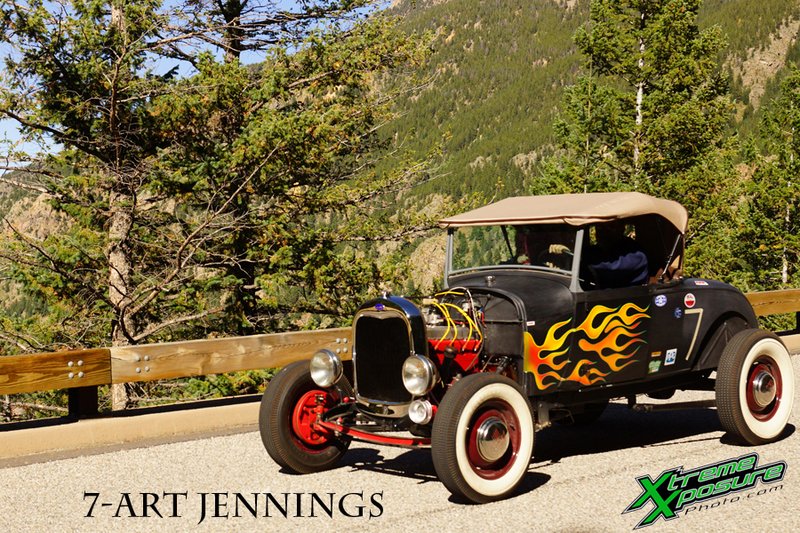 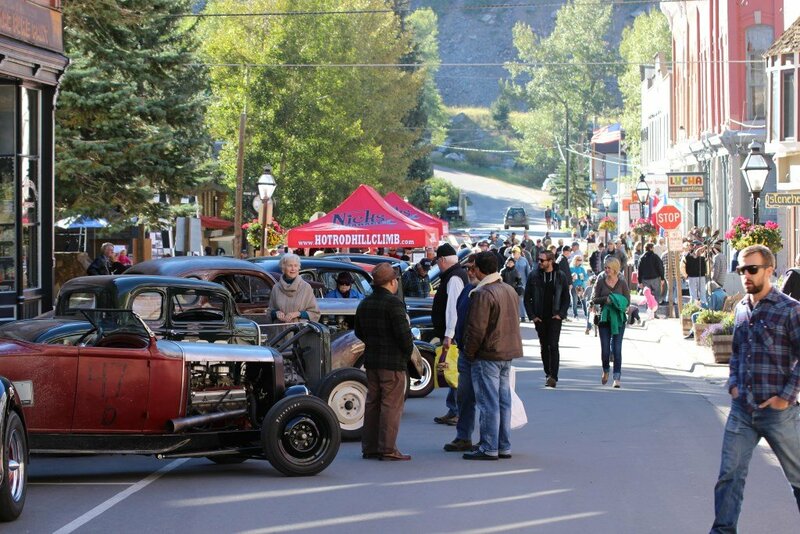 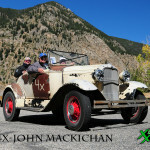 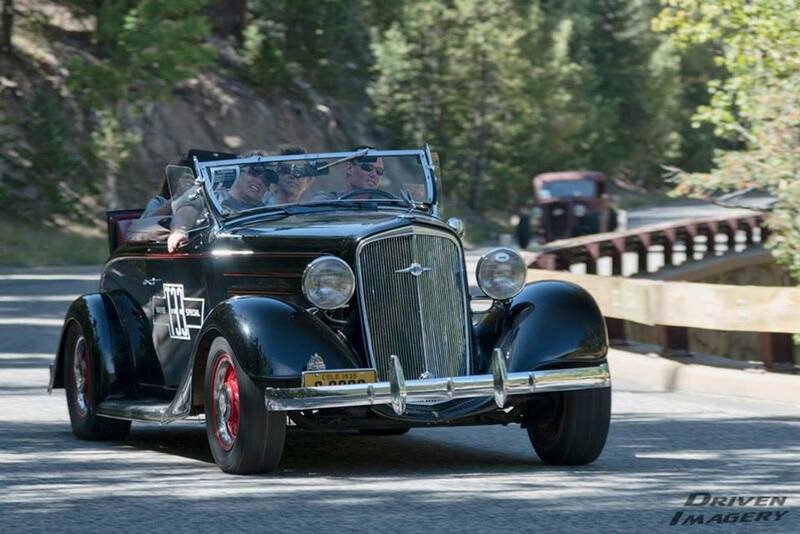 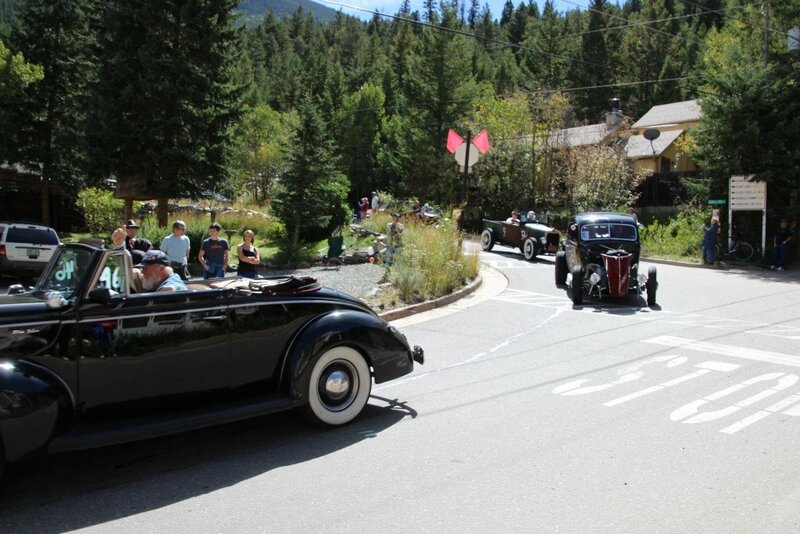 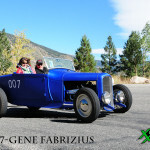 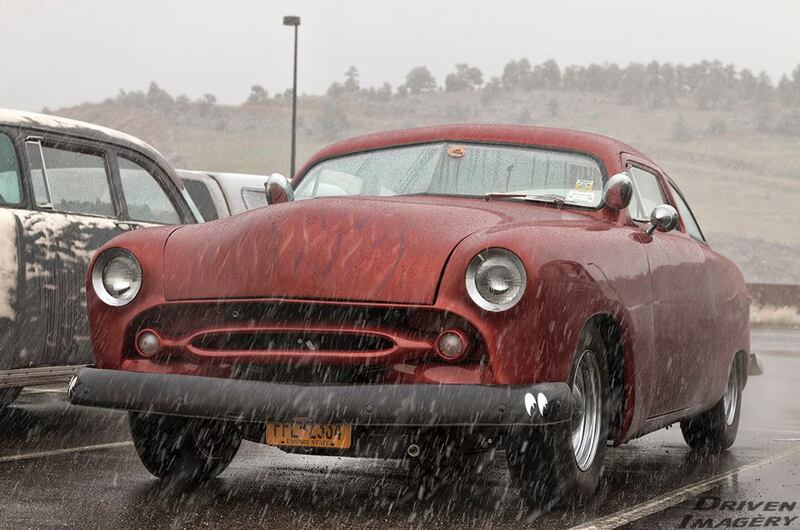 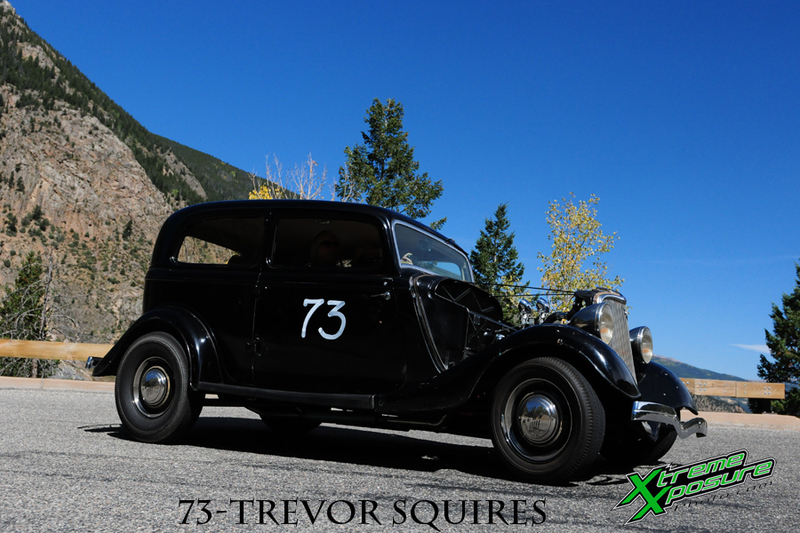 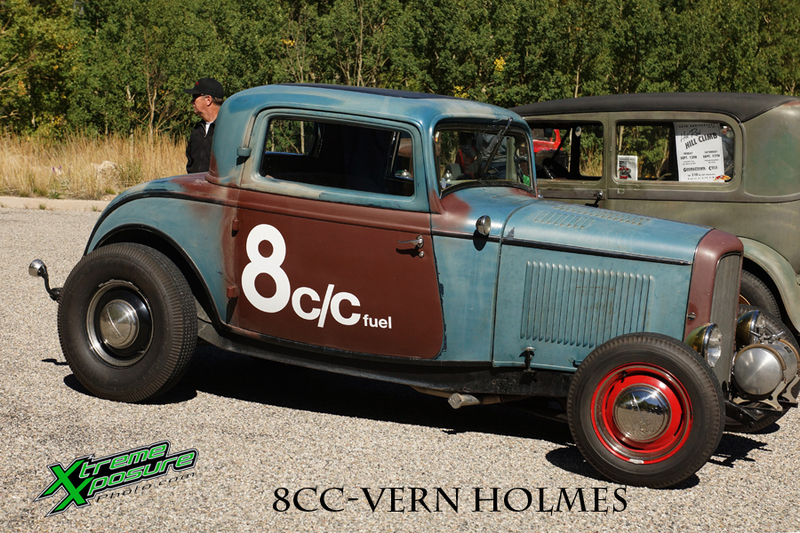 The Reliability Run was chilly to say the least, seems mother nature had a sense of humor that weekend, we got the best Colorado has to offer! 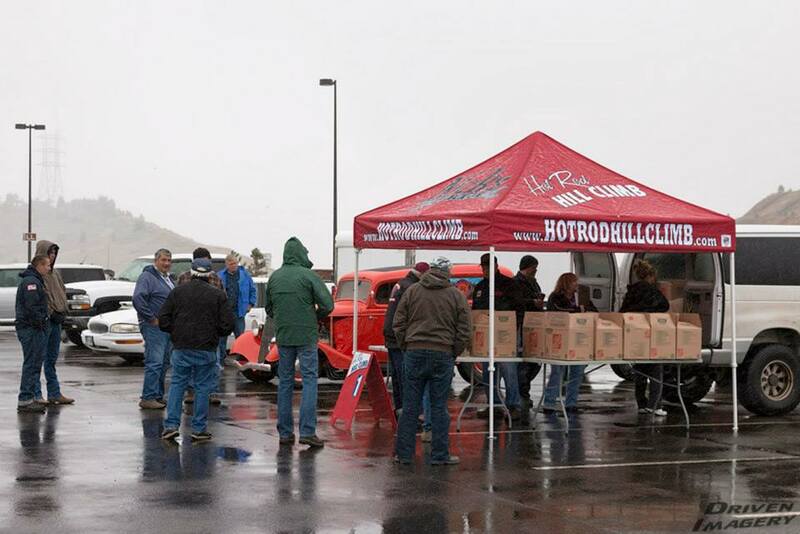 Amy had all the gift bags for pre-registered cars in boxes, they came with maps, posters, programs and more! 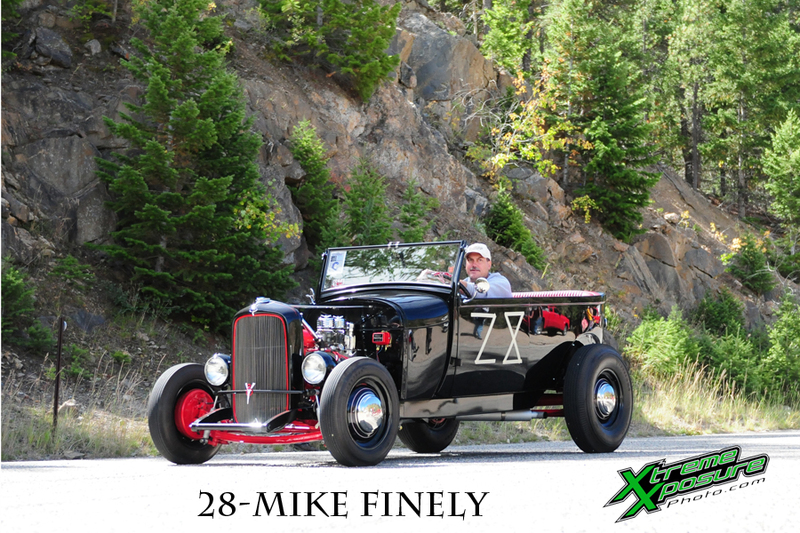 A hell of a deal at the pre-register cost of $25 ! 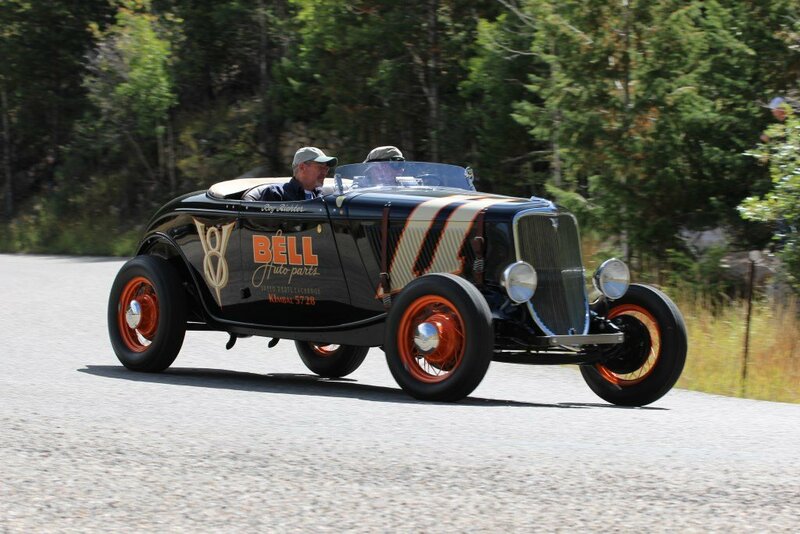 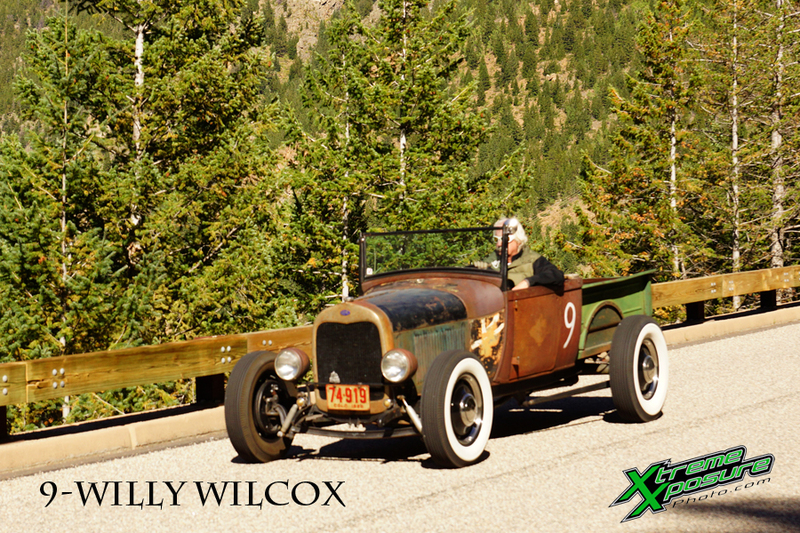 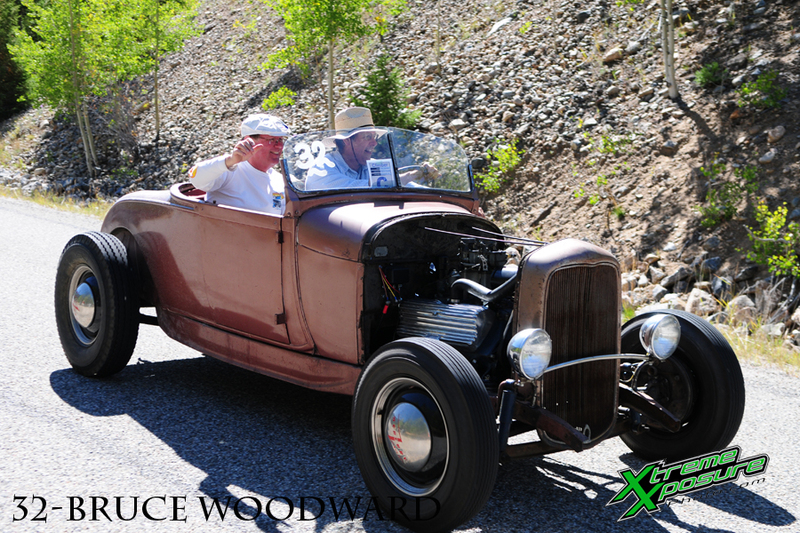 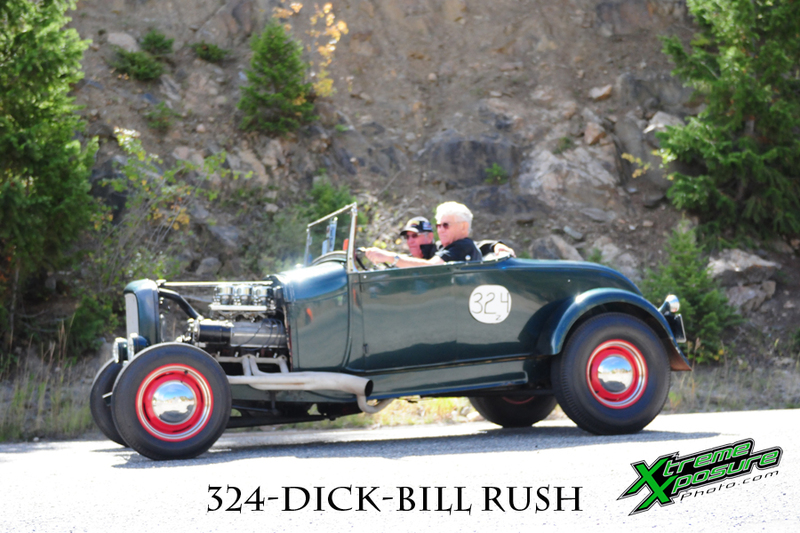 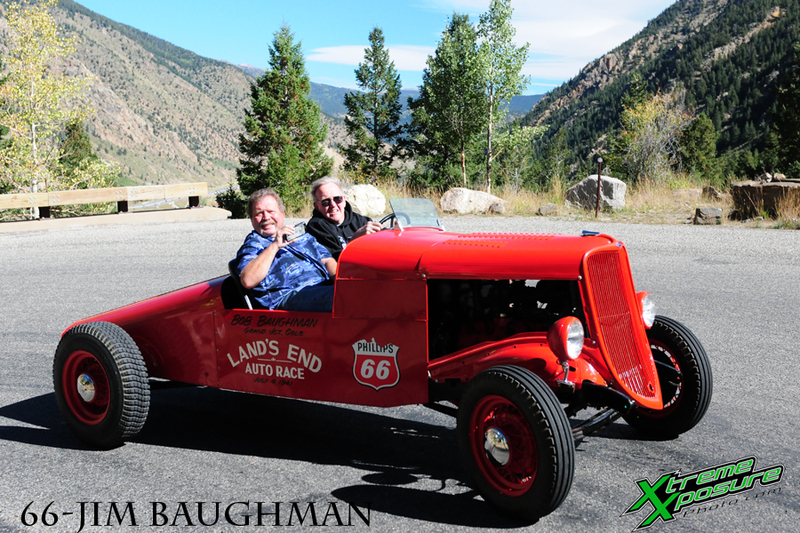 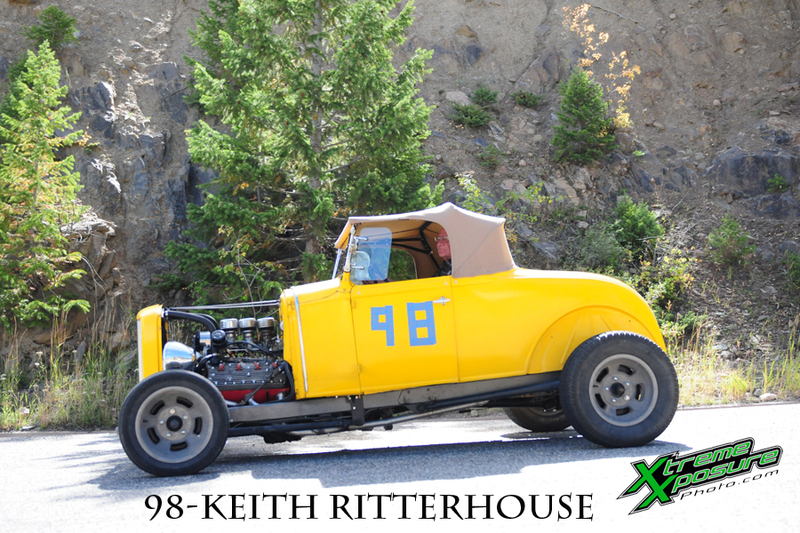 This was are friend Bill, he came from the Empire State to enjoy the beautiful scenery and all that the Hot Rod Hill Climb had to offer! 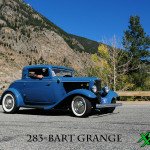 And the drive was spectacular, out of the wet and above the clouds to blue sky! 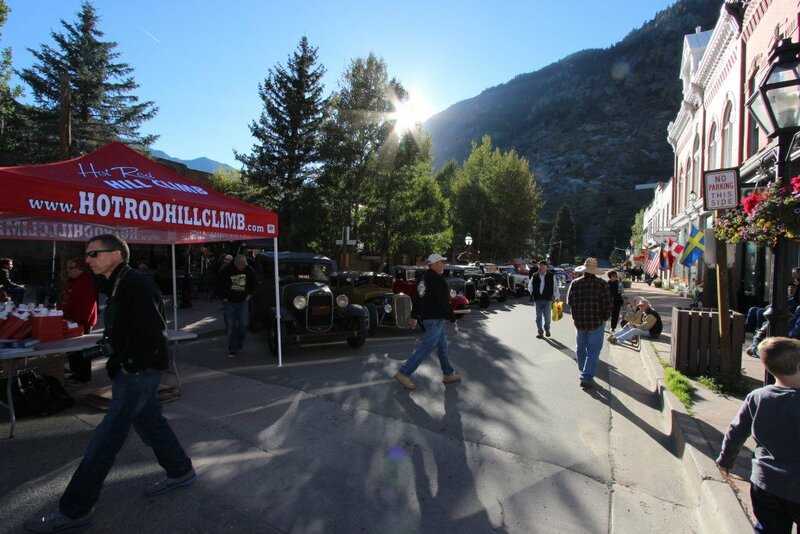 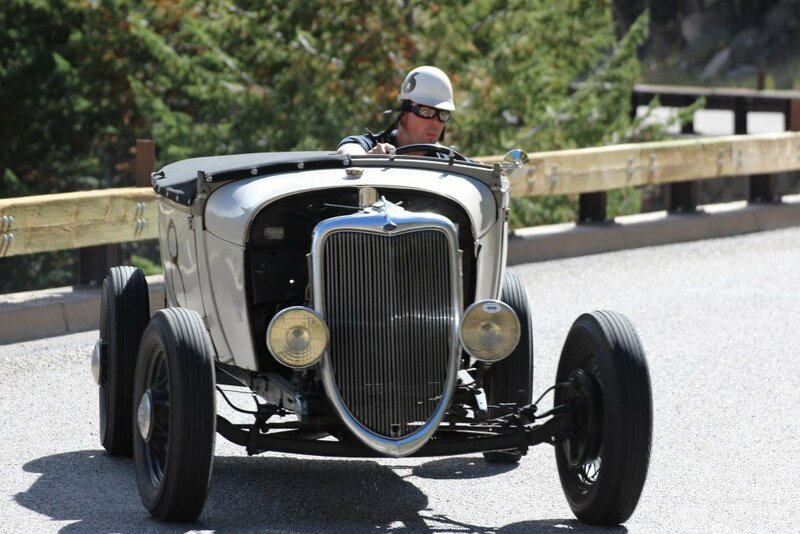 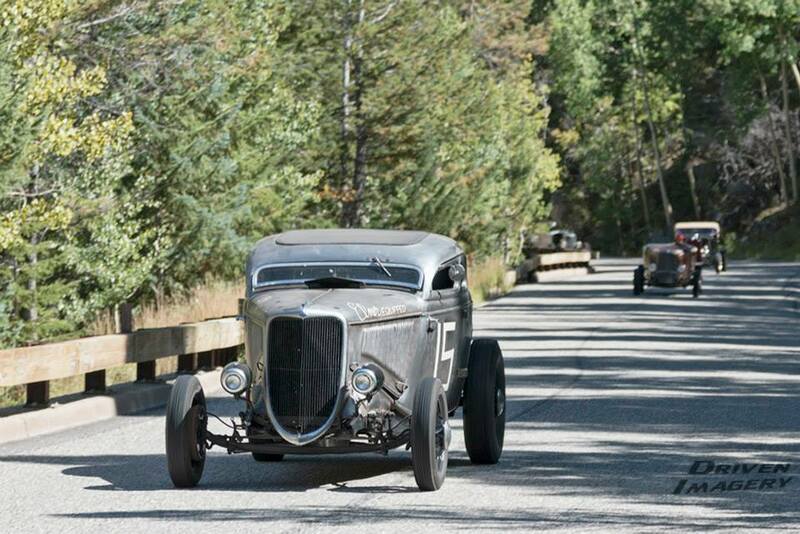 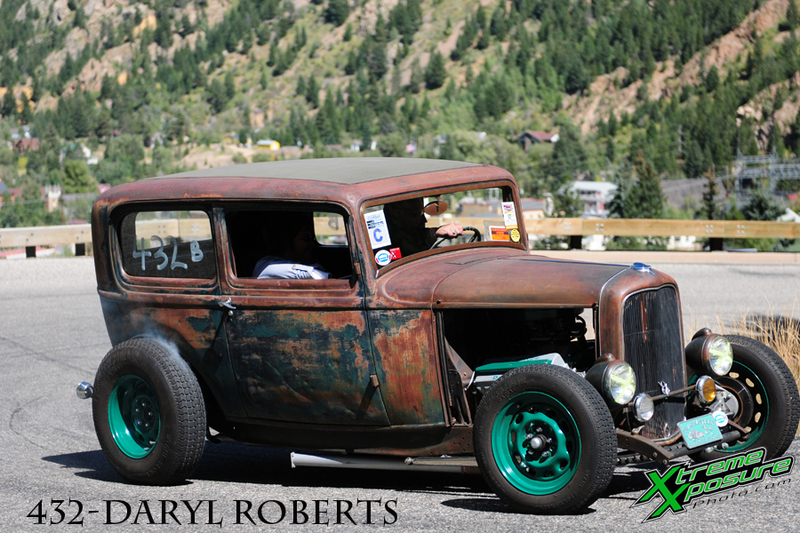 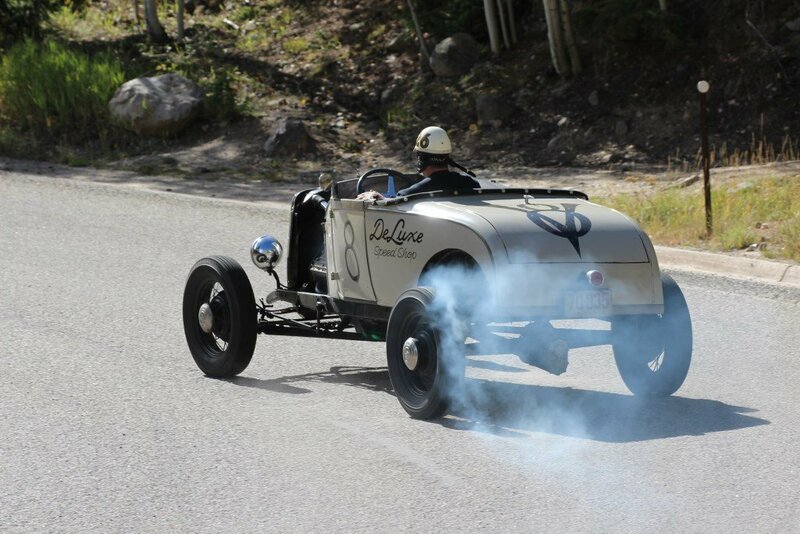 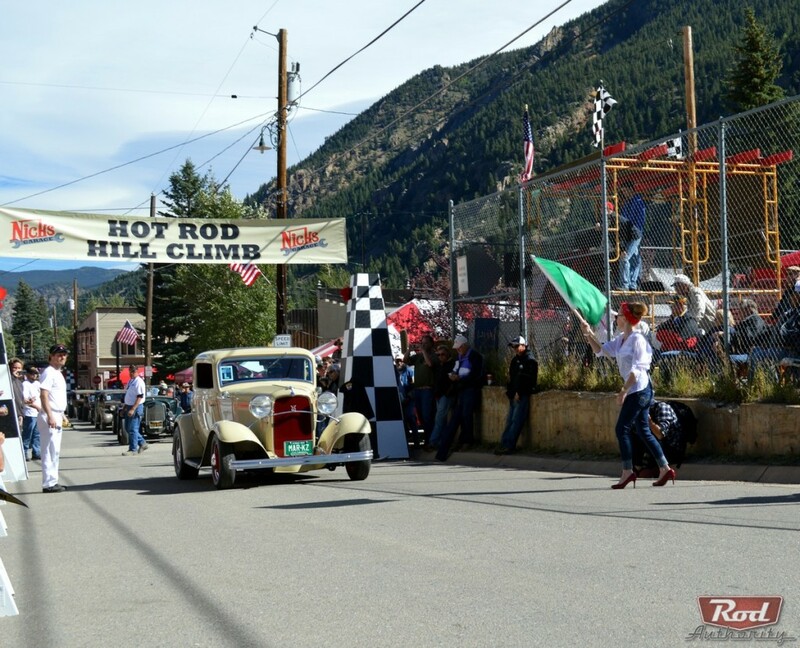 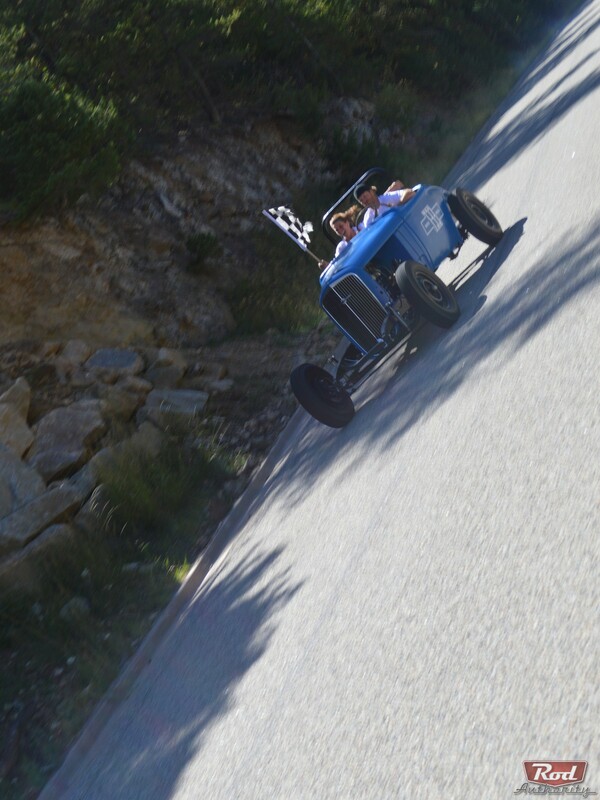 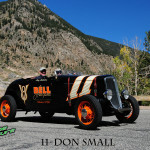 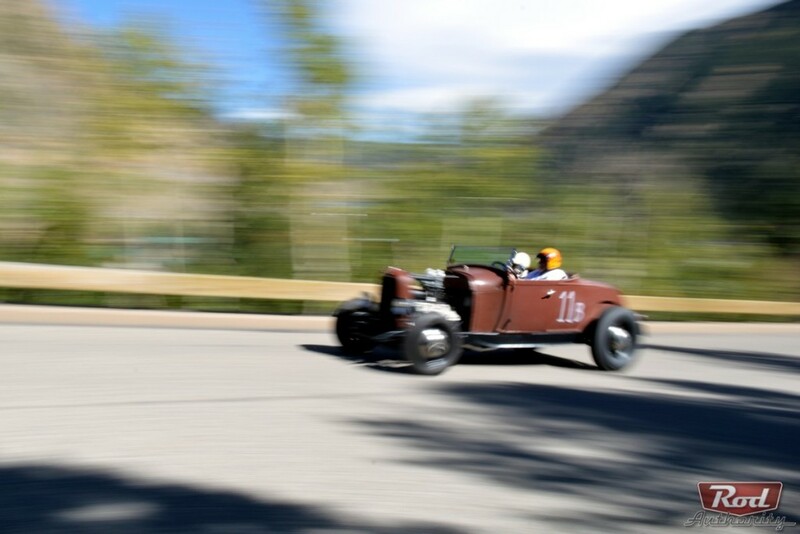 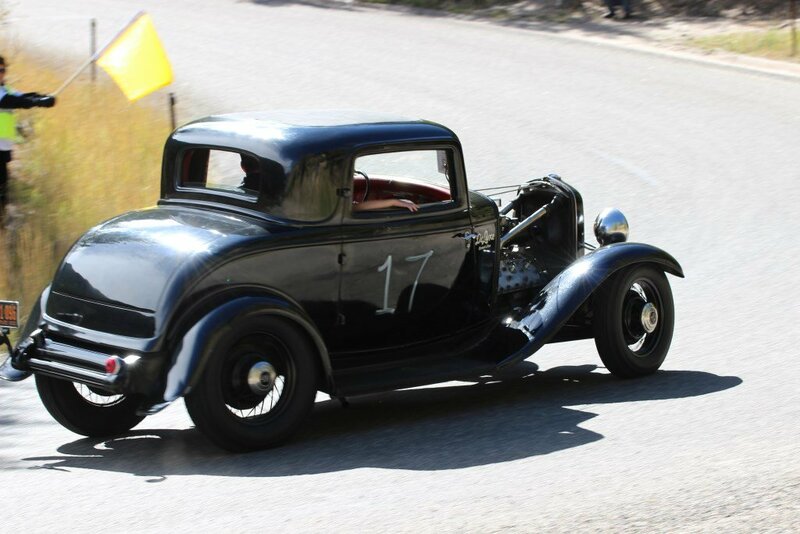 And then there was the Hot Rod Hill Climb ! 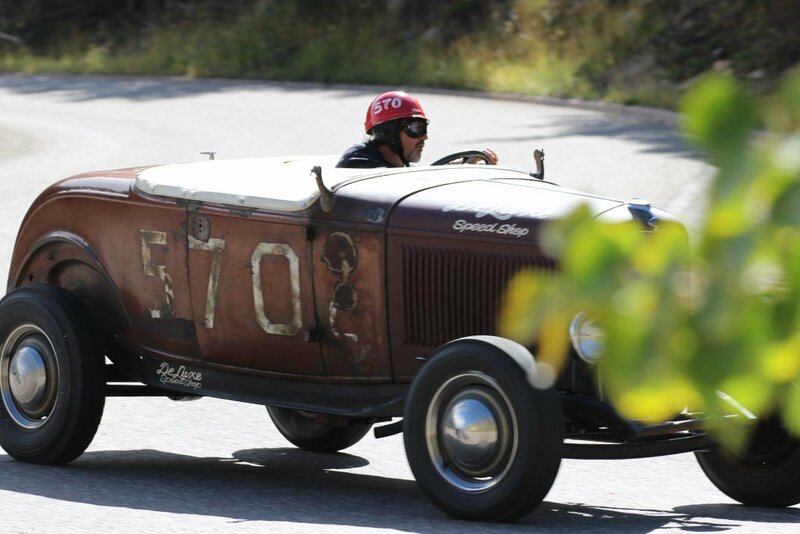 I think these guys stole Cal’s roadster! 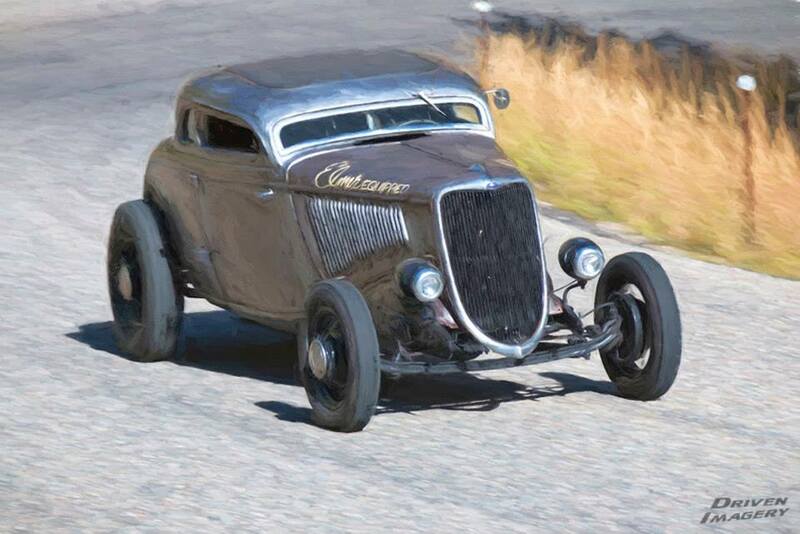 Looks like they are going break neck speed! 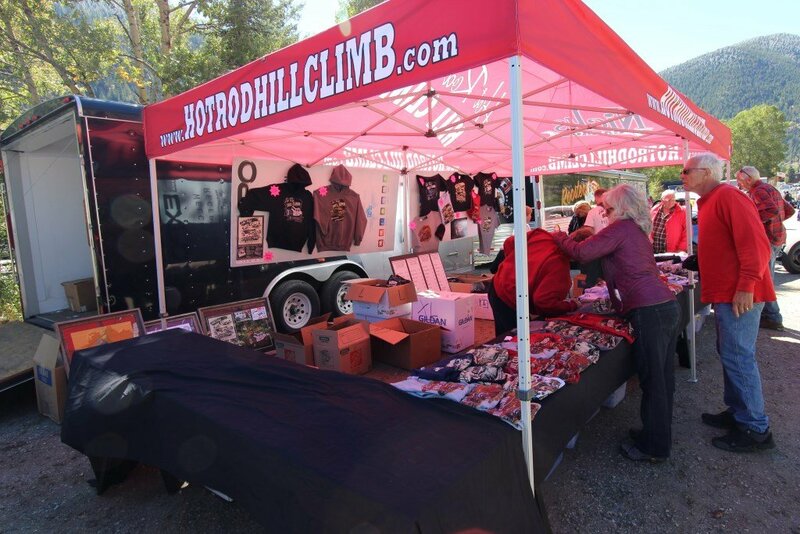 Hello fans, if you missed your opportunity to get your merch at the event, or you did not make it to the event, we have all the merch on the website! 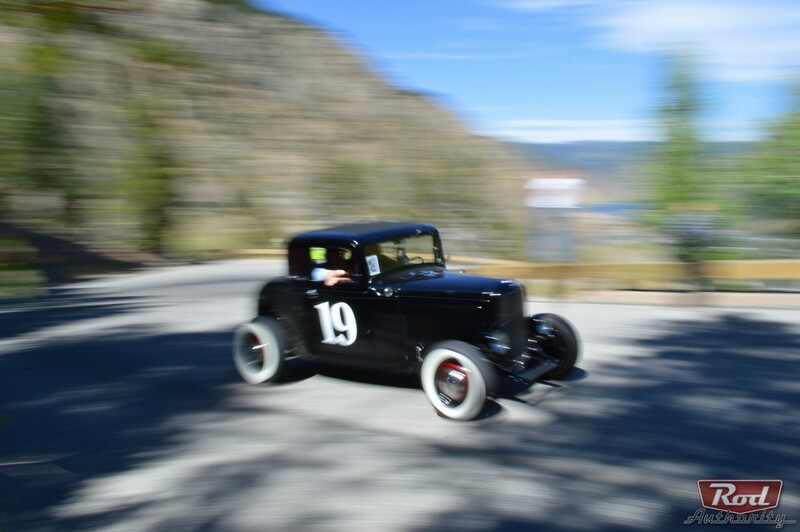 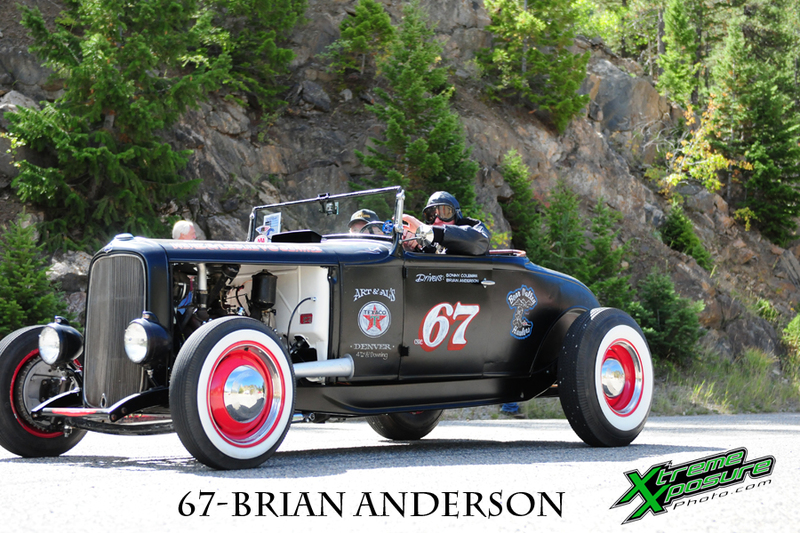 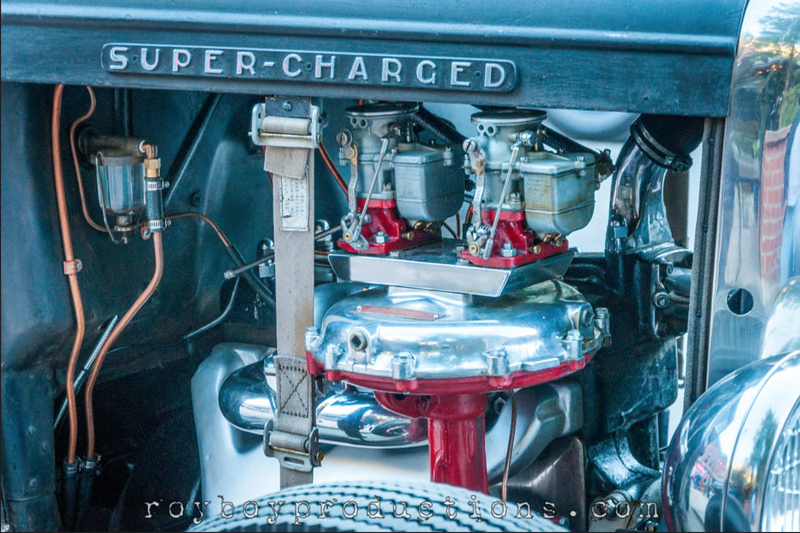 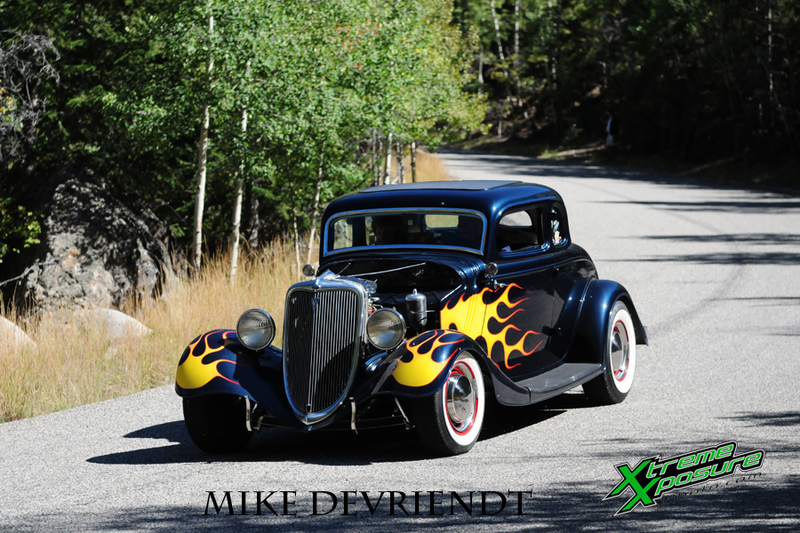 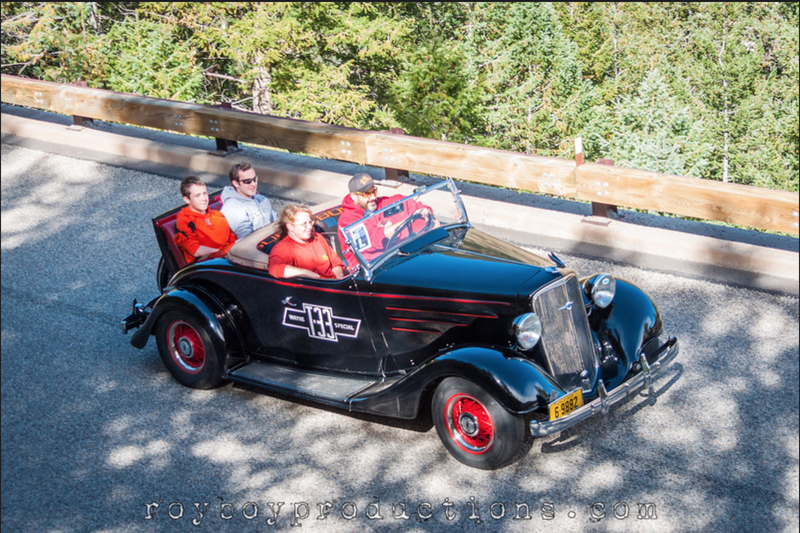 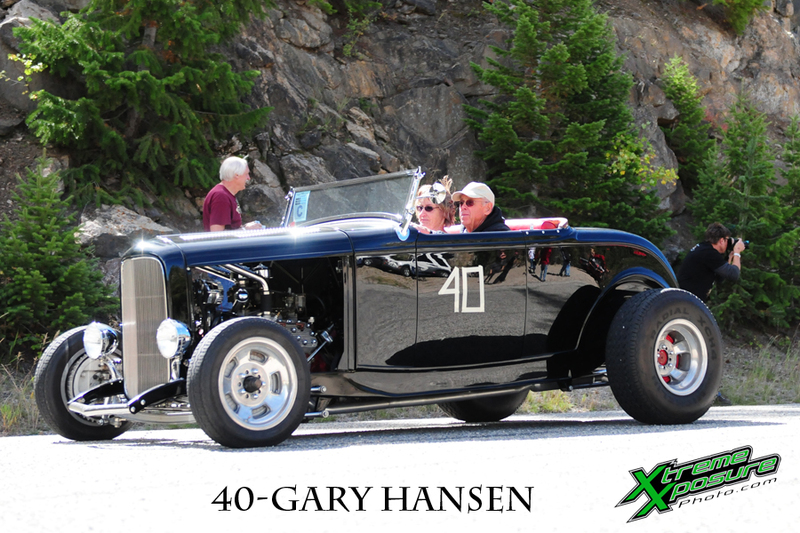 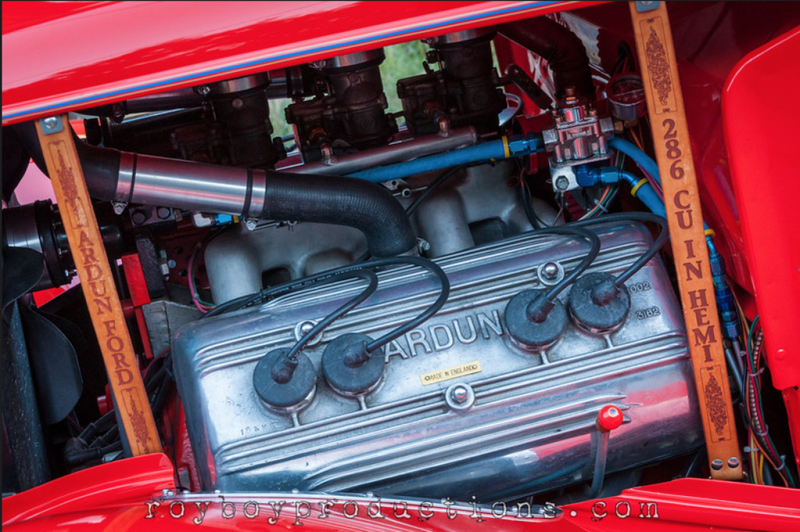 Our friend Randall Thomas @ PerformanceUnlimited.com came from Wisconsin for the 2014 Hot Rod Hill Climb, he took some great shots of the weekend! Later on Friday we moved to downtown for the evenings kick off party! 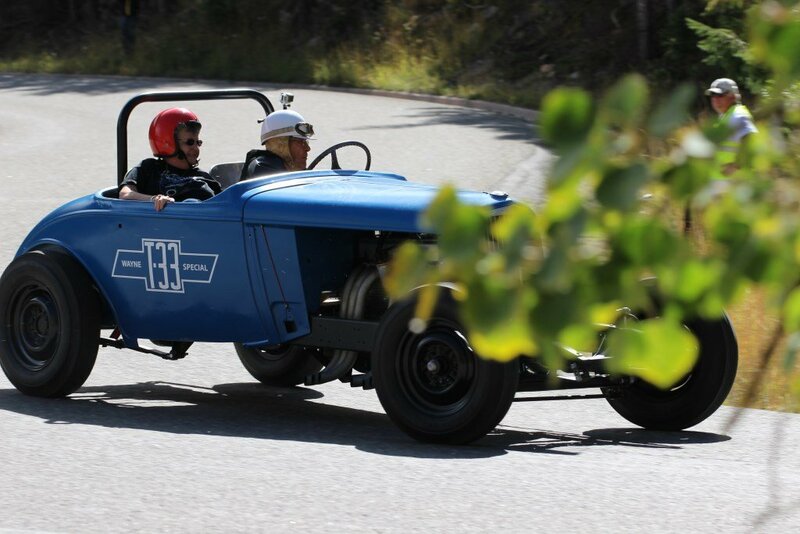 Saturday was sunny and full of action! 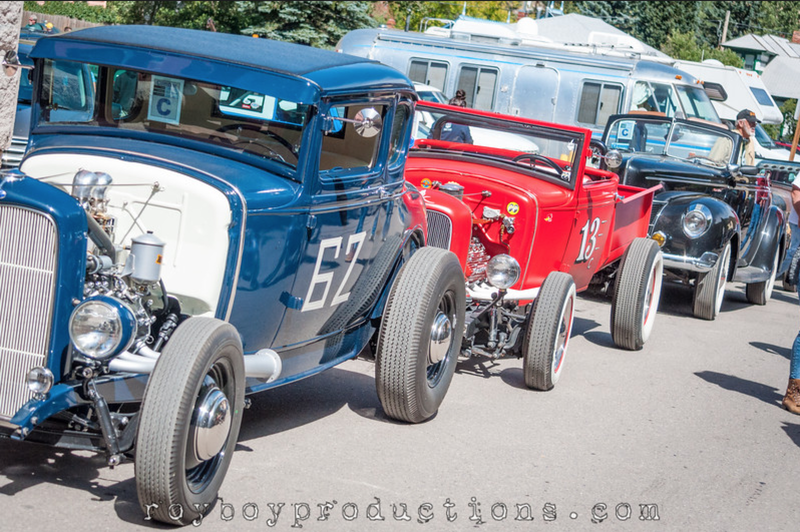 Our friend Travis at Roy Boy Productions has a host of photos online, huge thank you for coming out and capturing the show!! 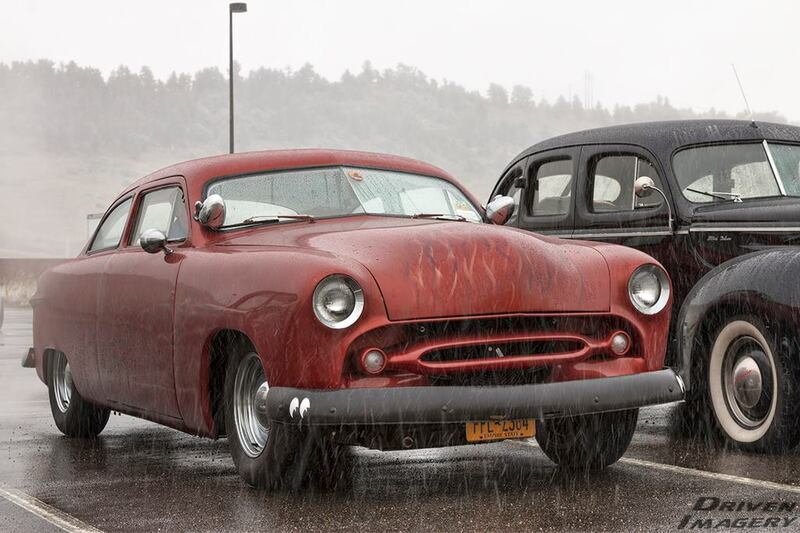 Chevy men to the bone, Cal Kennedy and Don Scroggs met at the telephone company in the early 50’s, in the parking lot of course, over the fender of Cal’s 1941 Chevy Coupe. 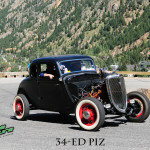 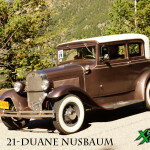 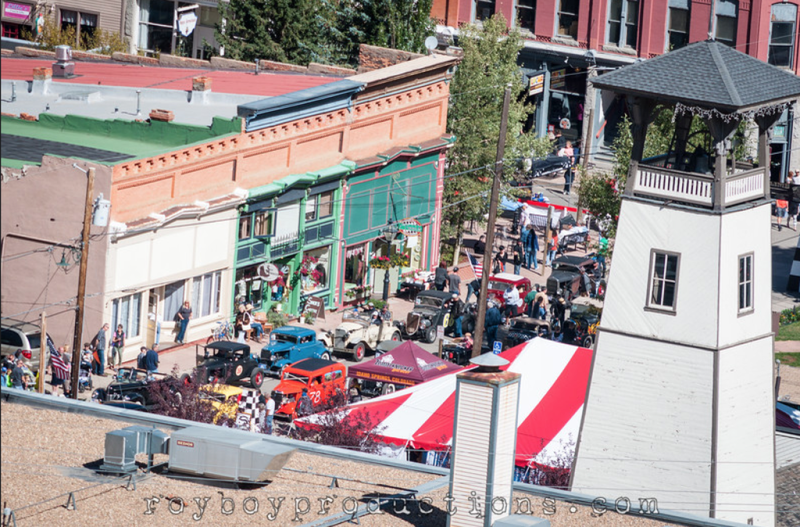 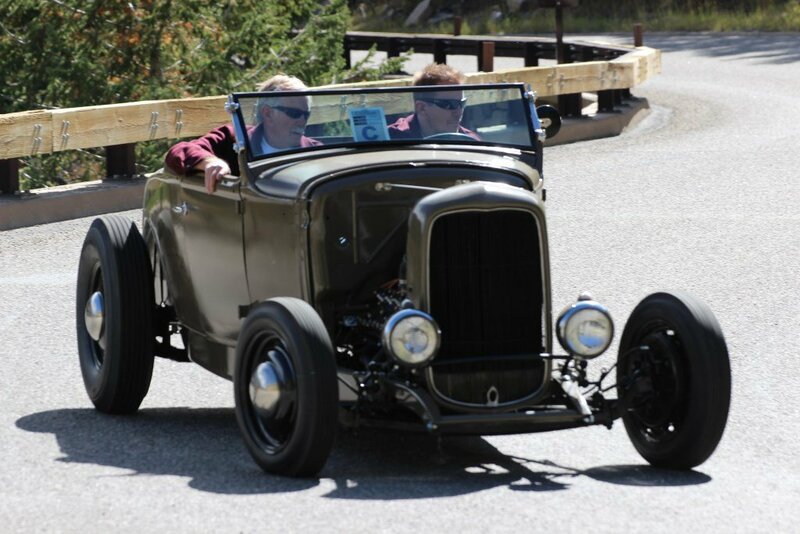 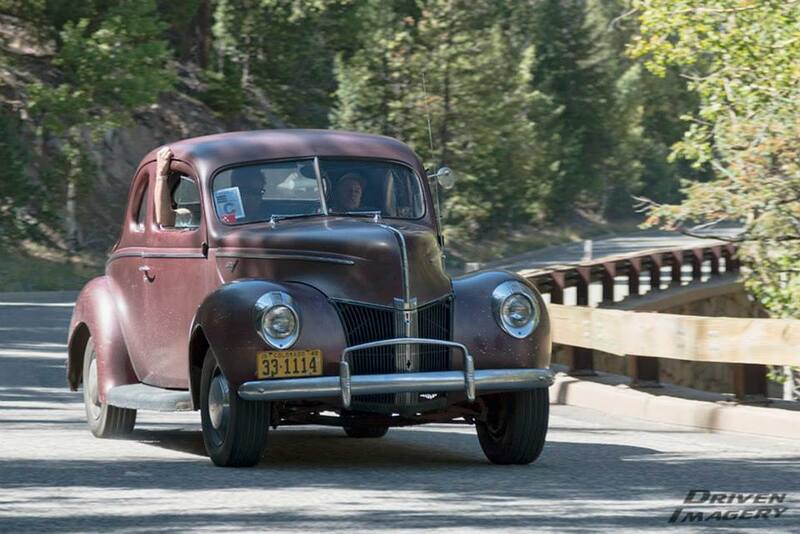 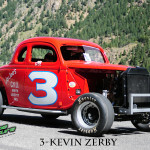 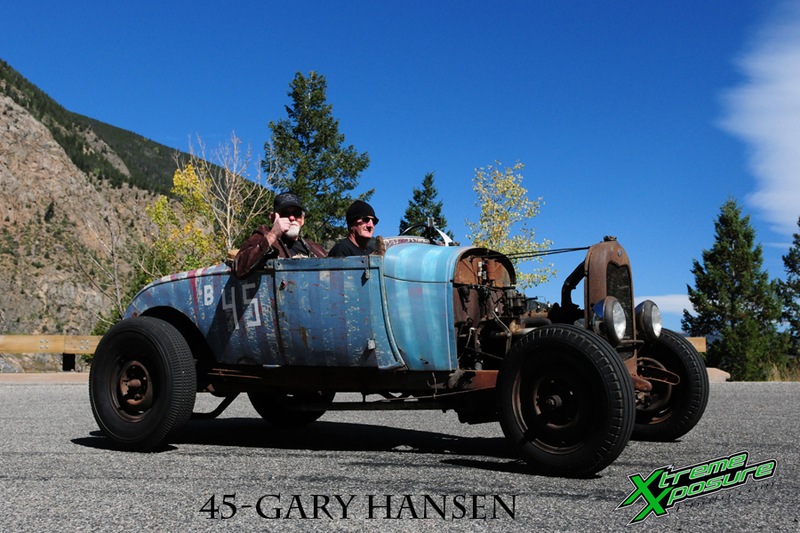 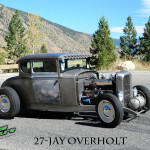 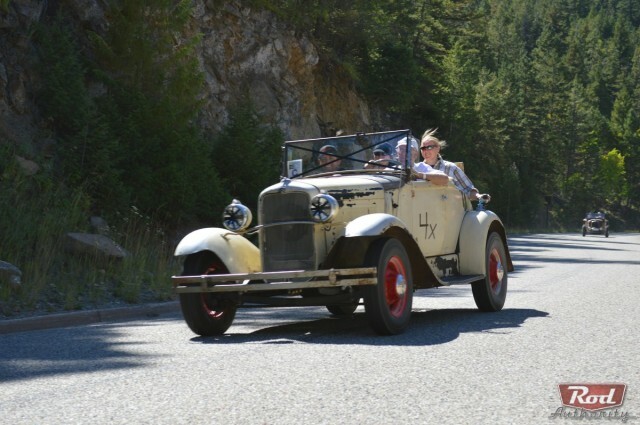 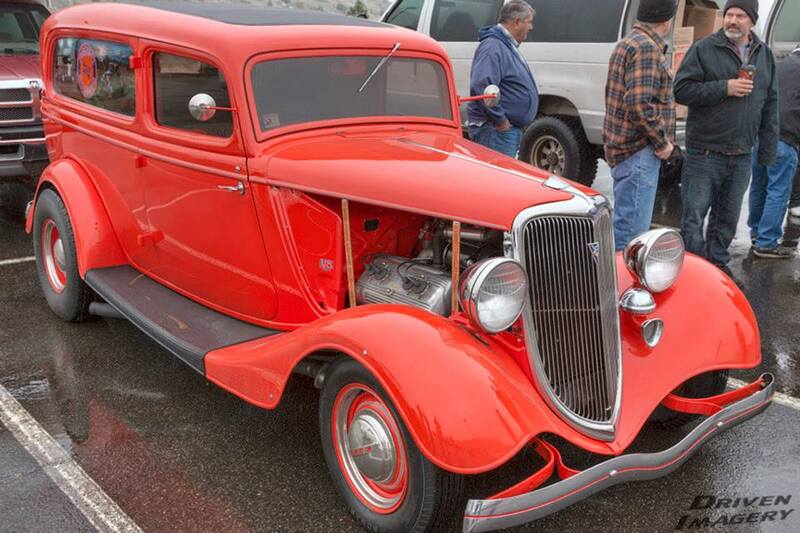 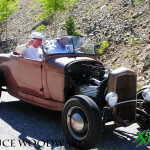 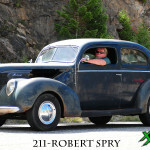 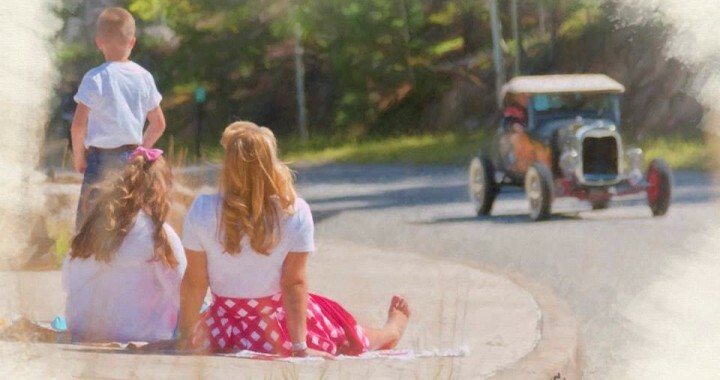 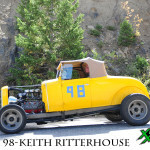 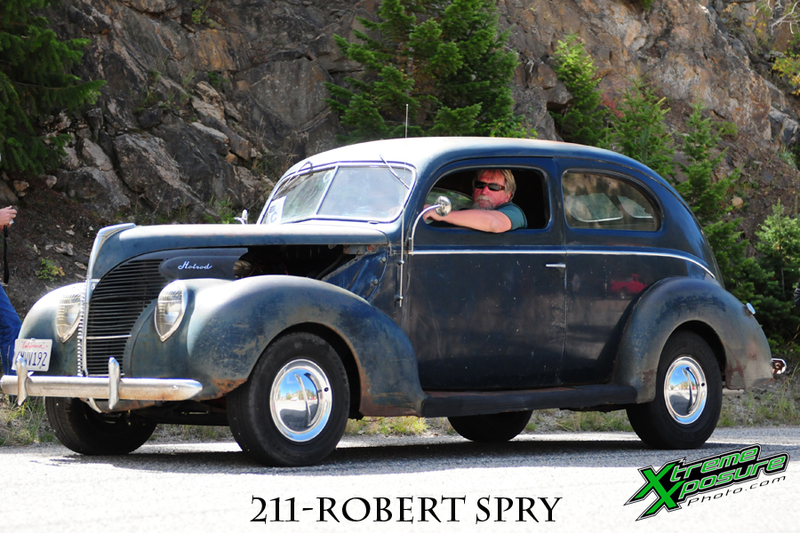 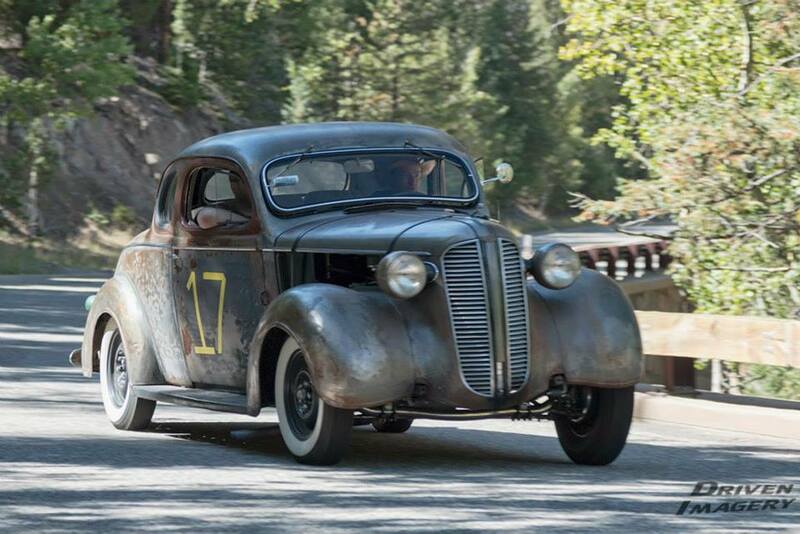 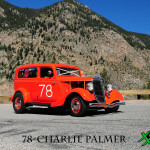 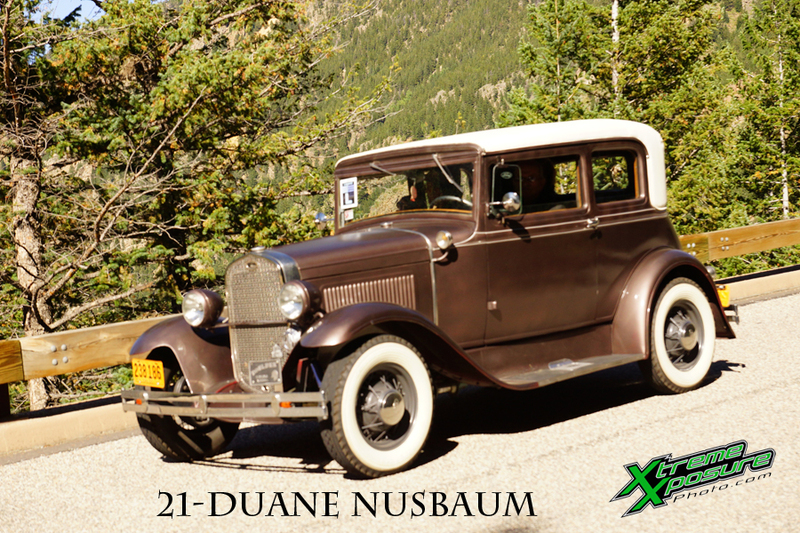 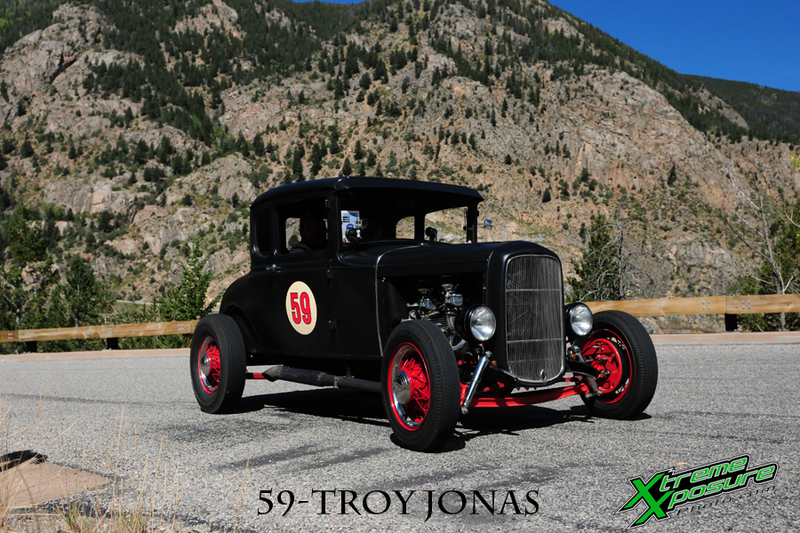 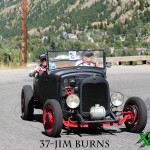 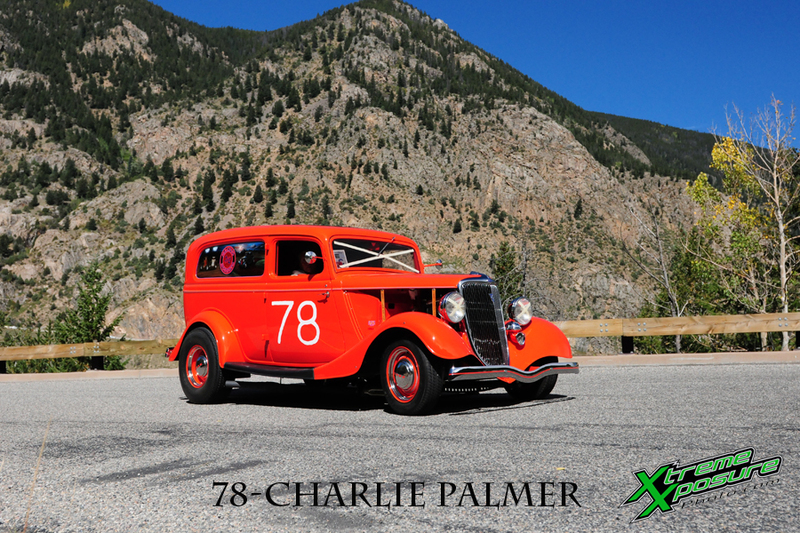 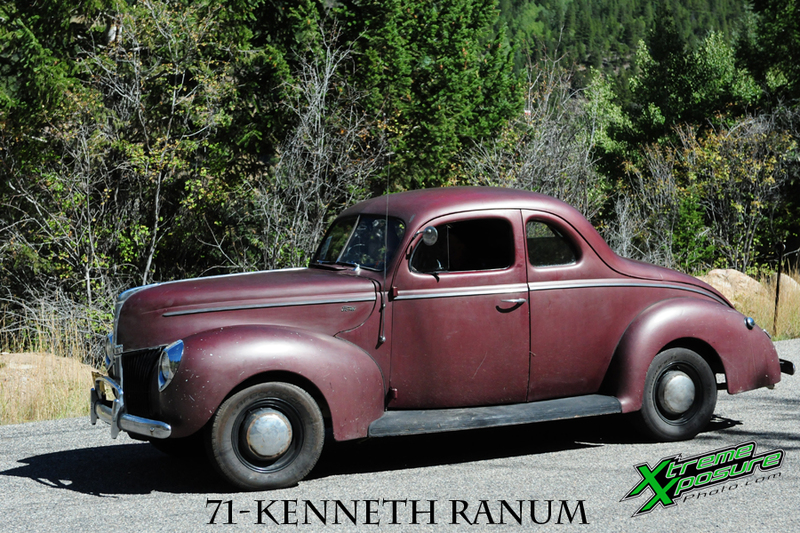 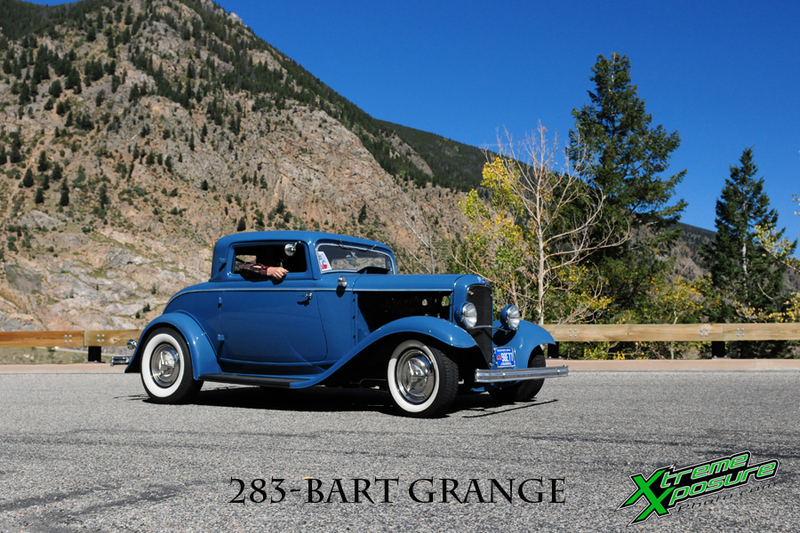 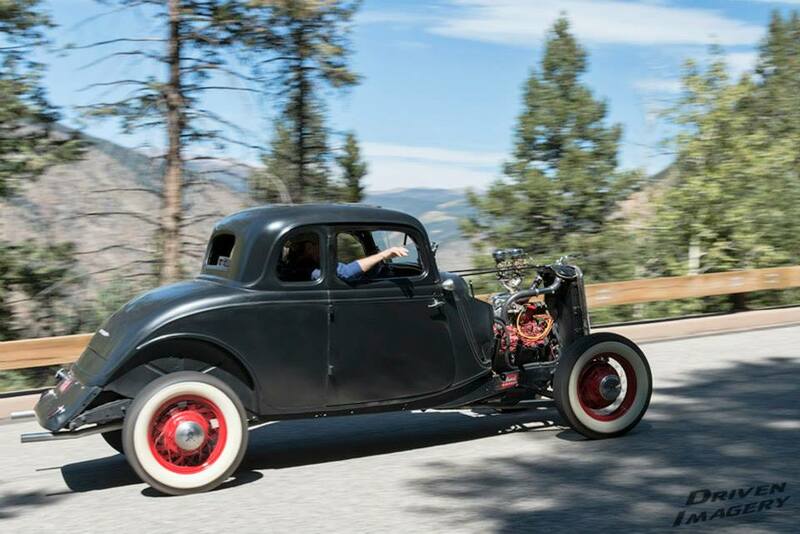 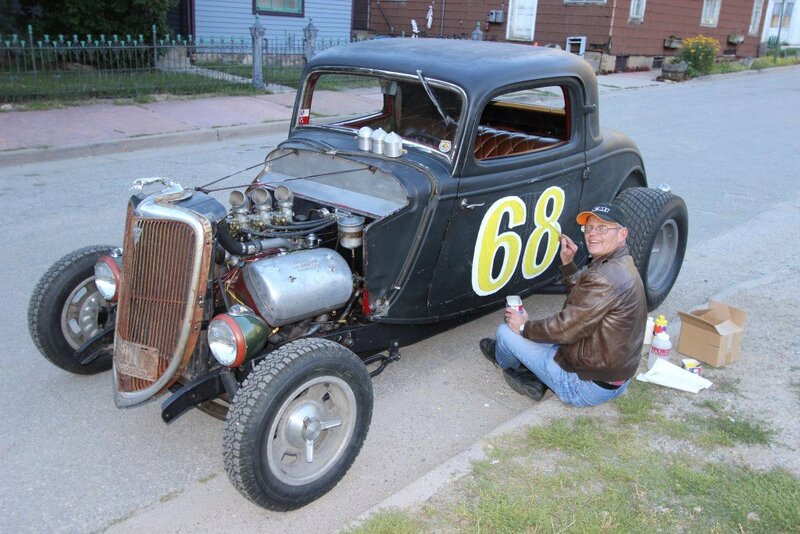 The two had the wild idea to take on the flathead Fords of the region with a 1936 Chevrolet pick-up Scroggs had eye-balled over a neighbor’s fence. 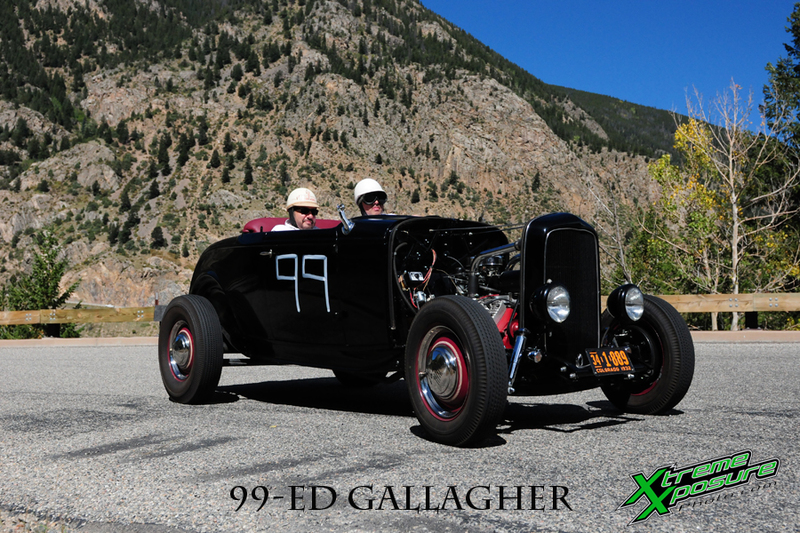 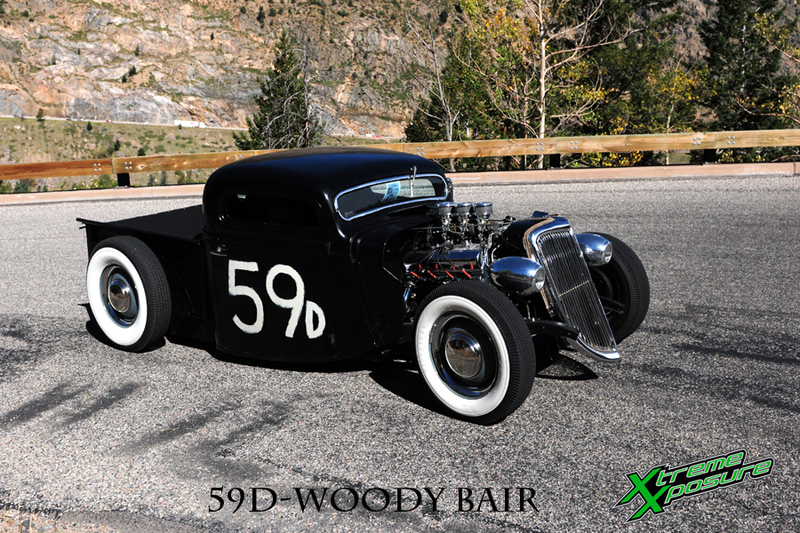 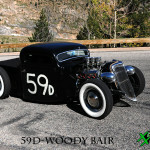 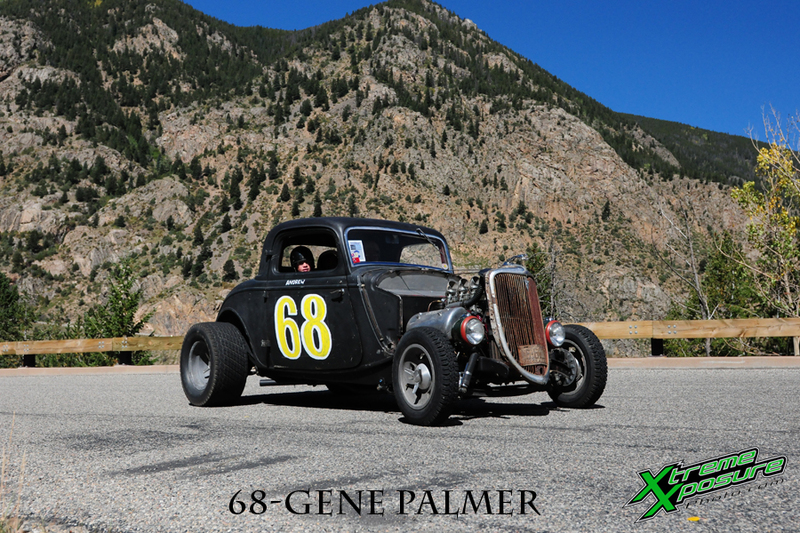 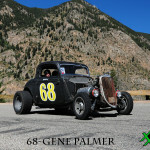 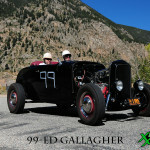 They swapped in the motor from Cal’s coupe and threw an intake and garage made split exhaust at it and off to the Cam Winder’s Dirt-Drag strip east of Colorado Springs. 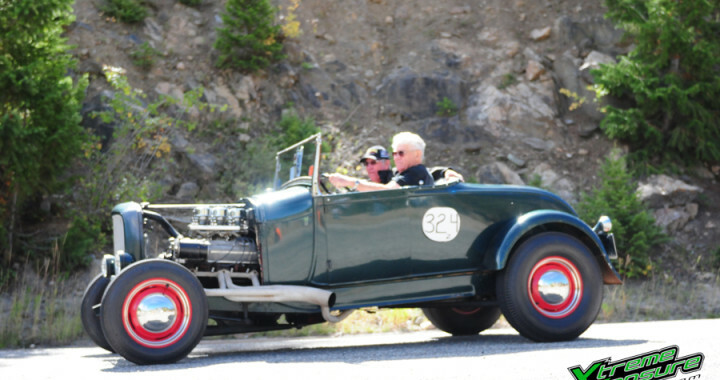 In early 1953 Cal found a 1934 Chevy Roadster body in Englewood for $5, they moved the motor back 25% of the wheelbase, dropped it down in the chassis, channeled the roadster shell and sectioned it vertically to align the rear wheels with the wells. 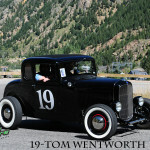 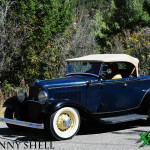 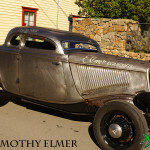 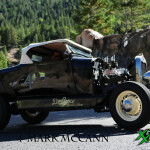 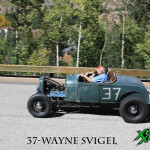 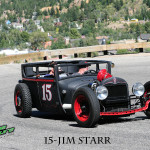 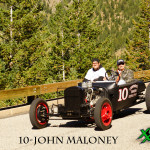 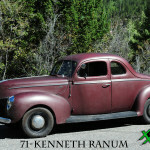 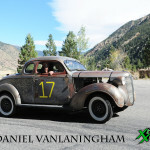 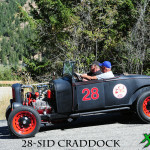 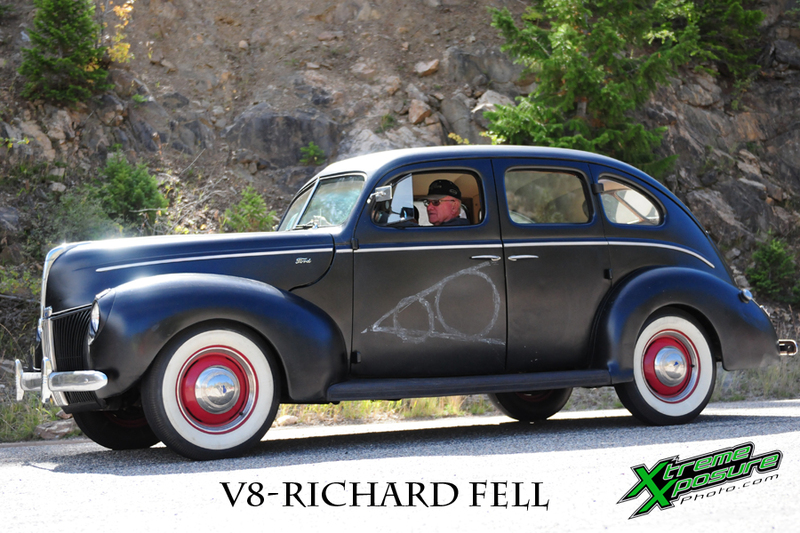 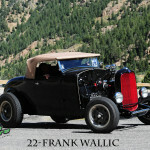 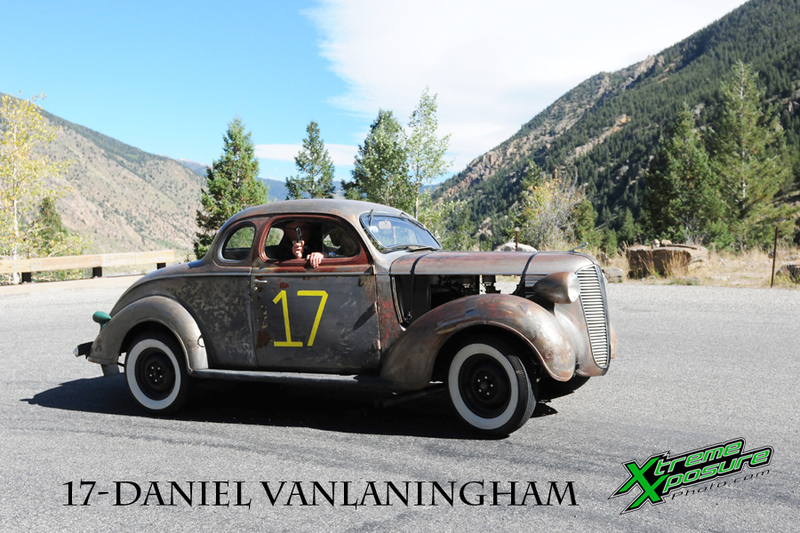 The car was a staple at the local drag meets and was at the 1953 Hot Rod Hill Climb. 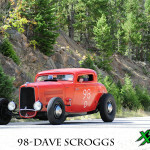 Force Base hosted Drag Safari of 1955 and made it into Hot Rod Magazine September 1955. 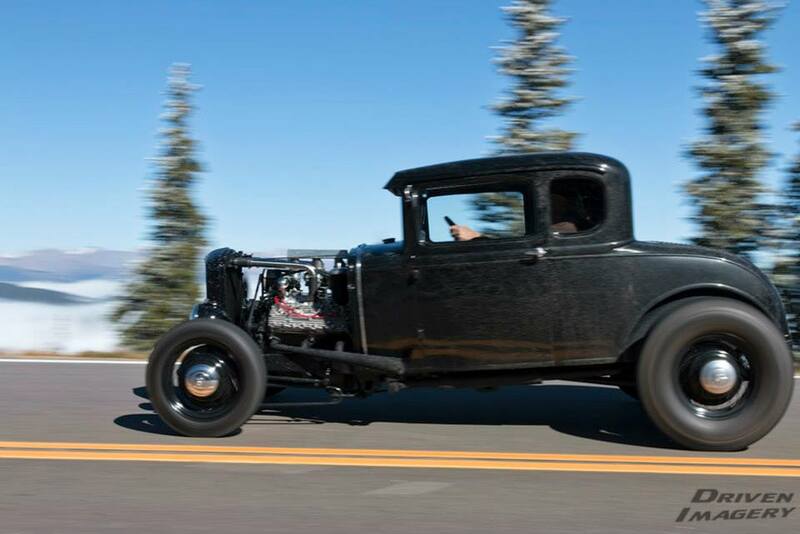 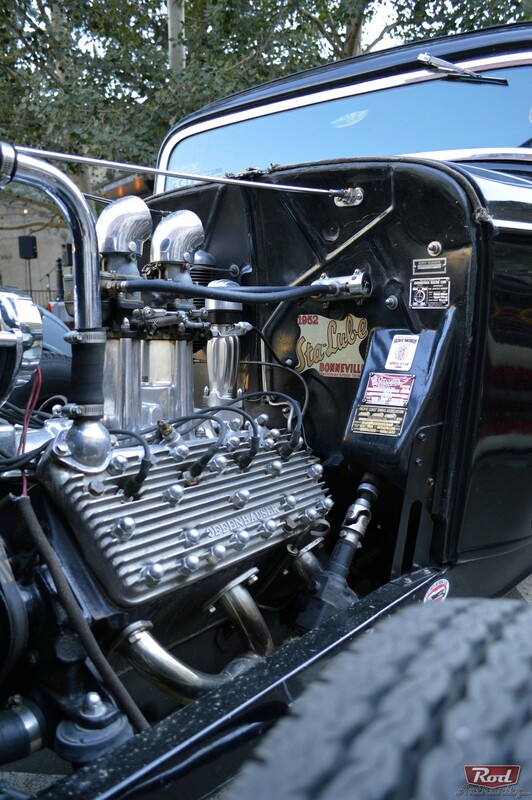 The final configuration of the car was in dragster form, still on the narrowed 1936 truck frame, motor moved way back and the seat behind the rear axle. 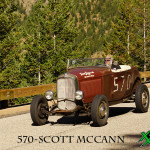 They competed for Top Eliminator in 1958 and won. 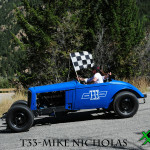 That was the end of T-33, the car and chassis has been gone for years, the motor well kept in Cal’s crawl space. 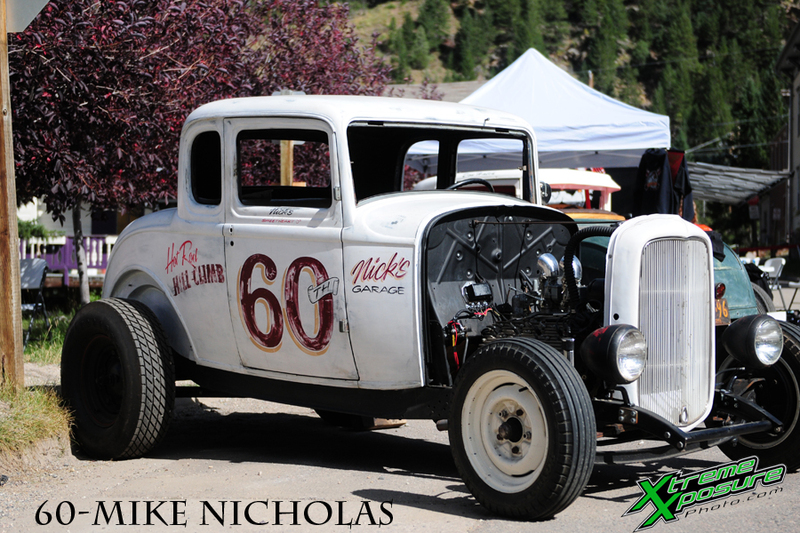 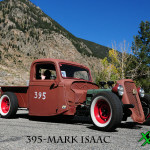 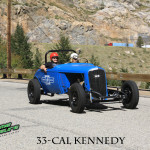 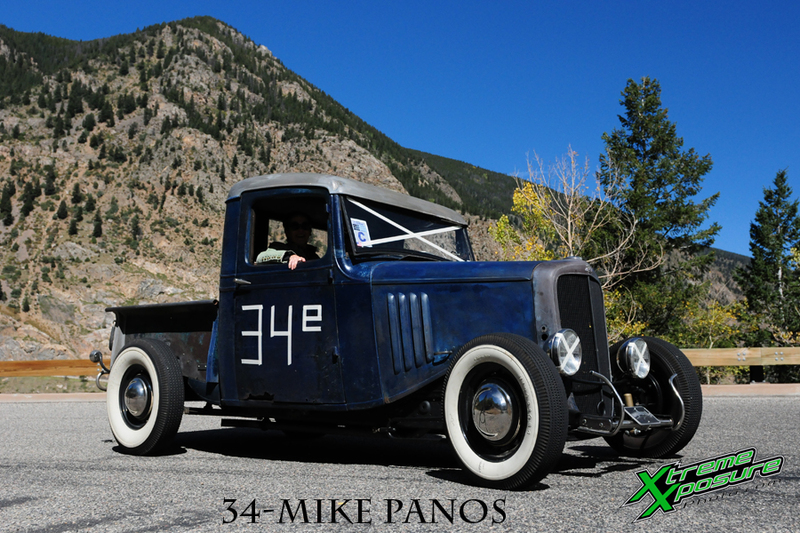 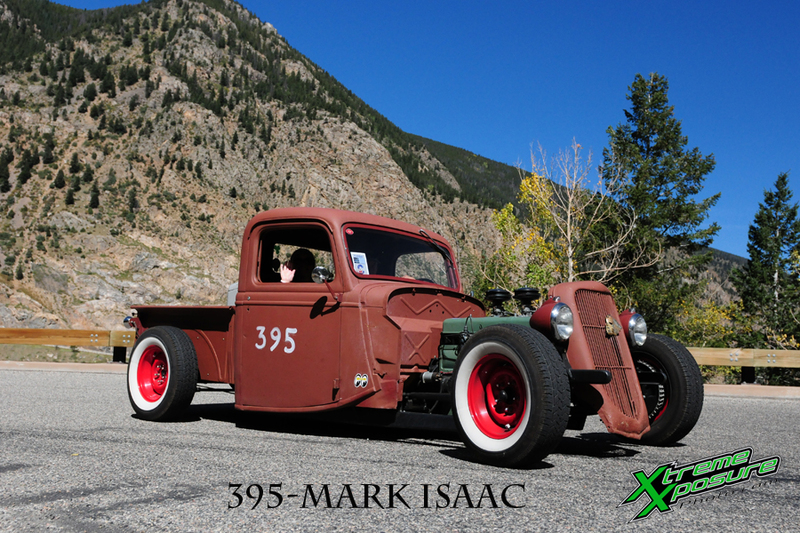 Mike Nicholas of Nick’s Garage started the recreation of Cal’s T-33 before the 2013 Hot Rod Hill Climb anniversary event by chasing down a 1936 truck chassis. 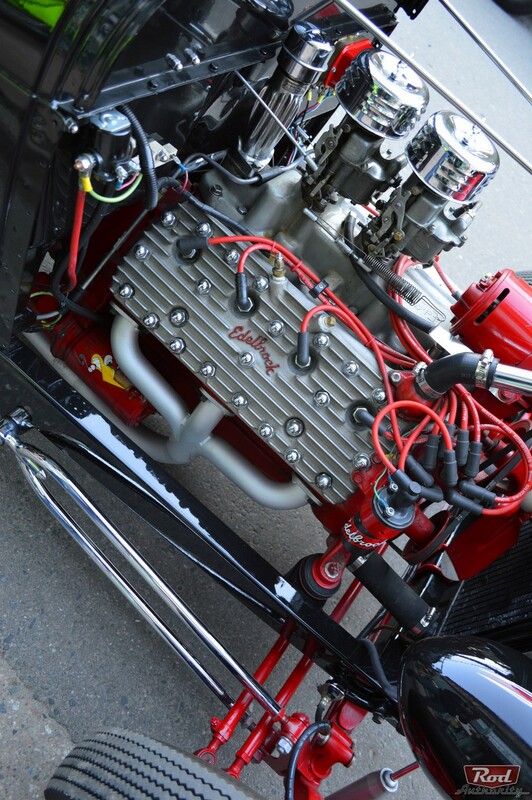 Cal reassembled the motor with all the original parts. 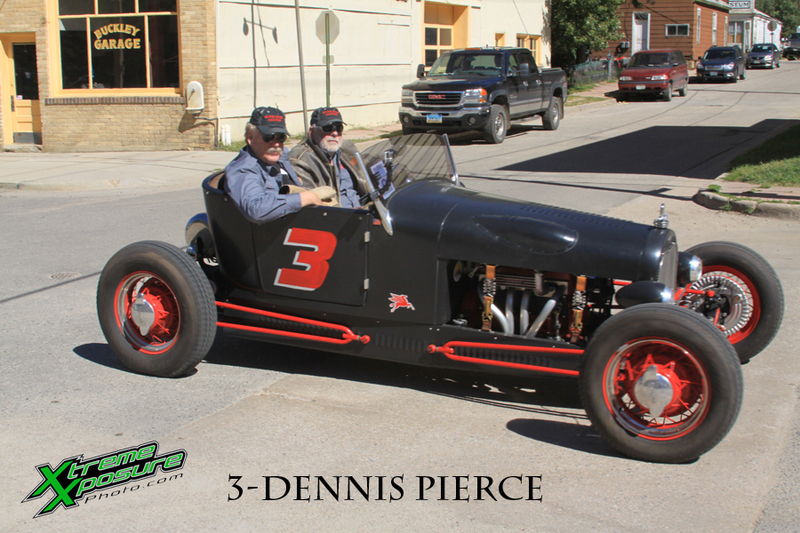 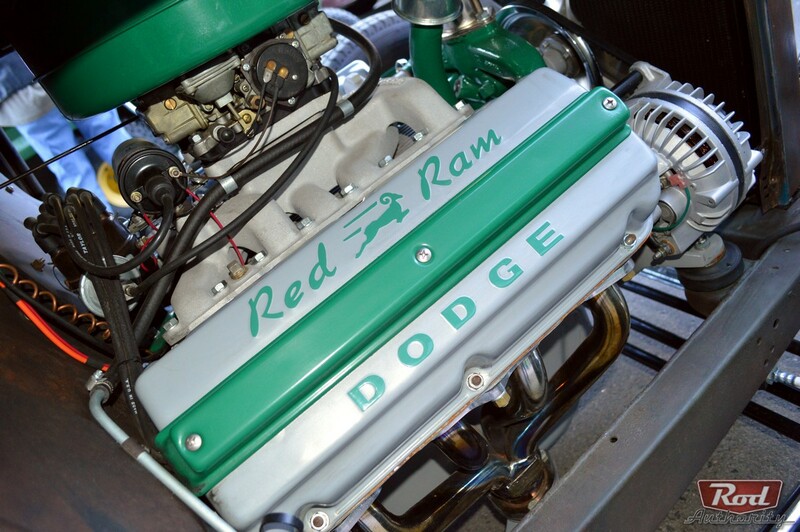 It was July 2014 when the motor finally fired after a 55 year slumber, and Don’s son Dave Scroggs was there to hear the motor his dad boosted about run for the first time of his life. 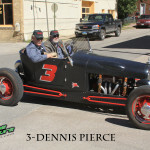 Dave and friends Tom Wentworth and Phil Trill were instrumental in the recreation of T-33. 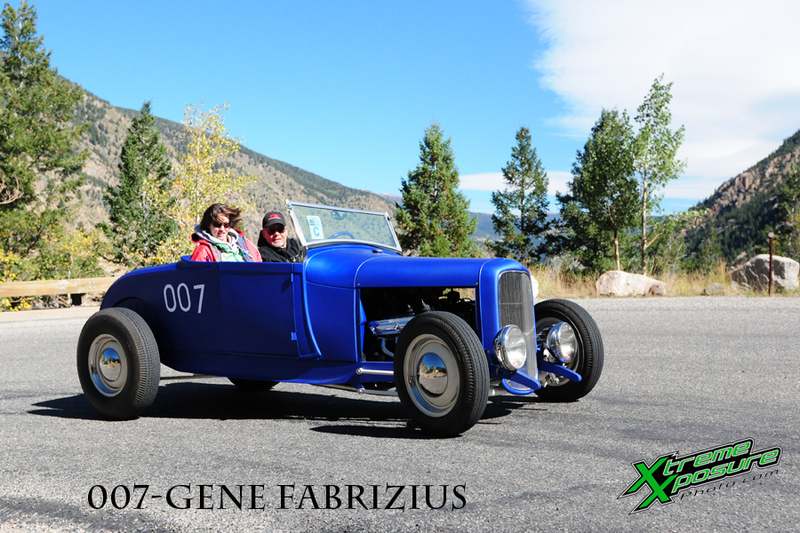 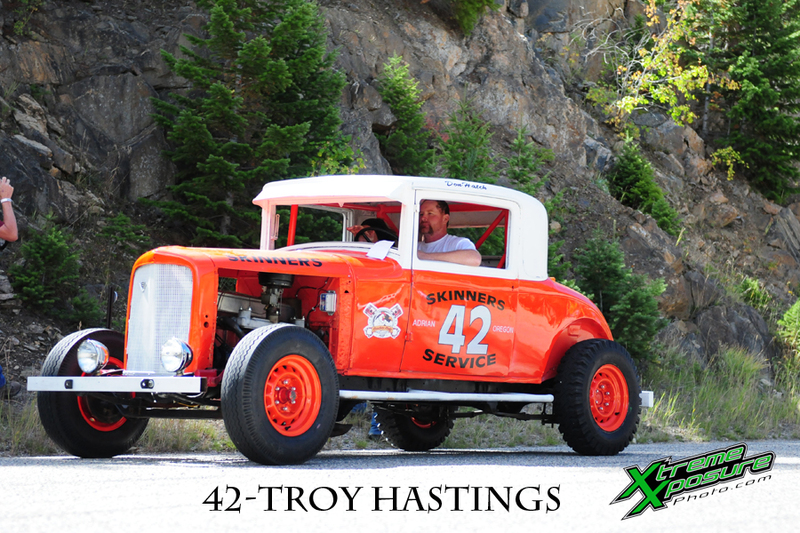 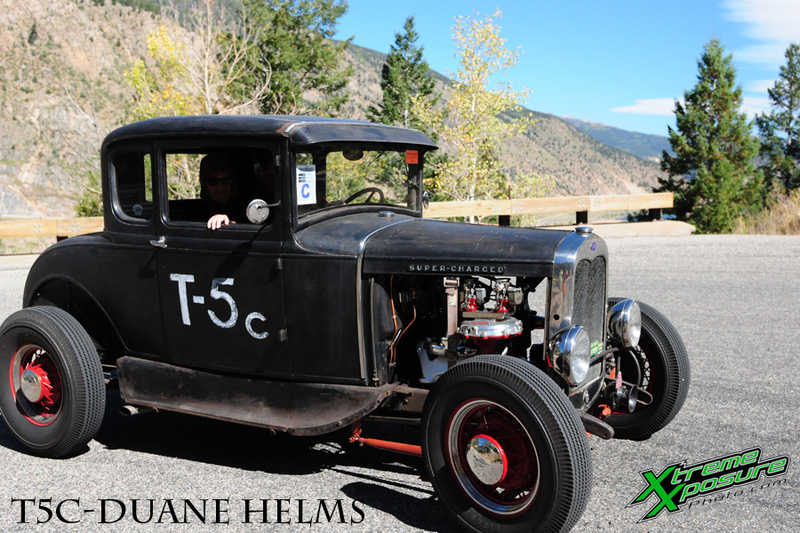 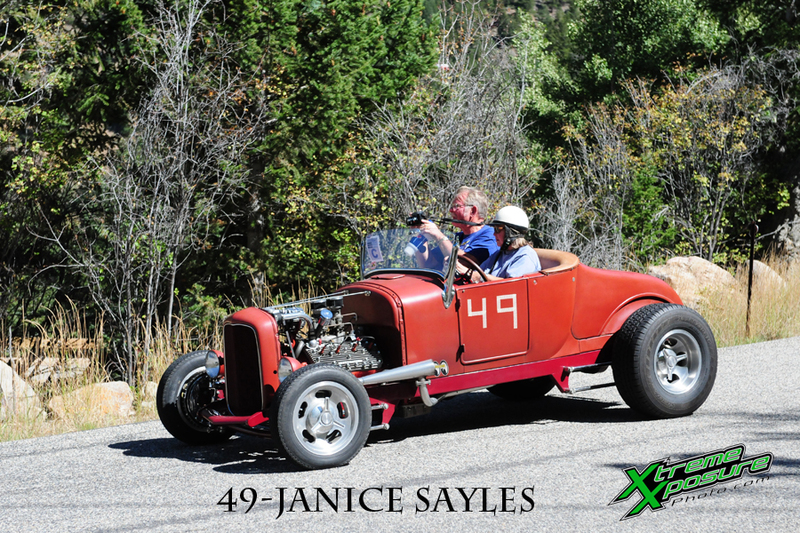 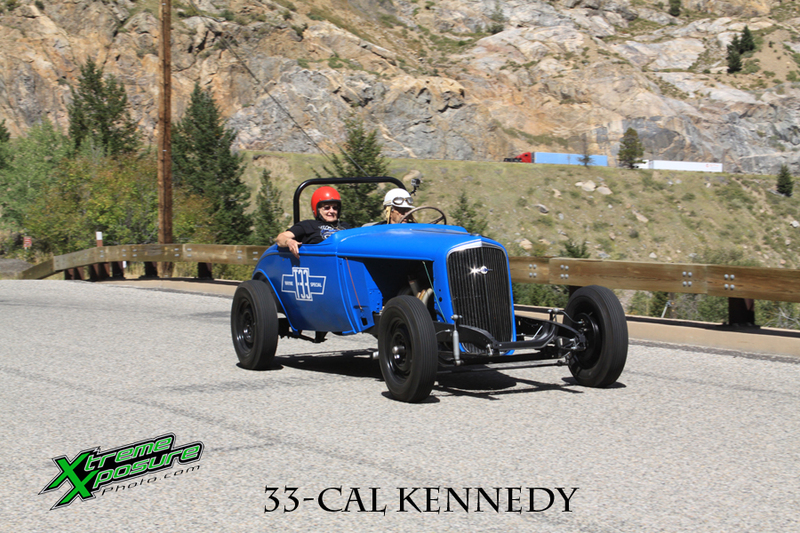 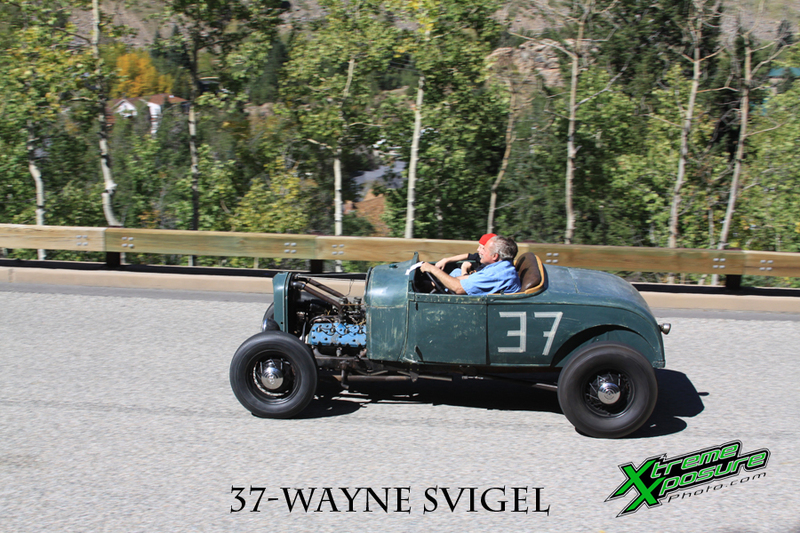 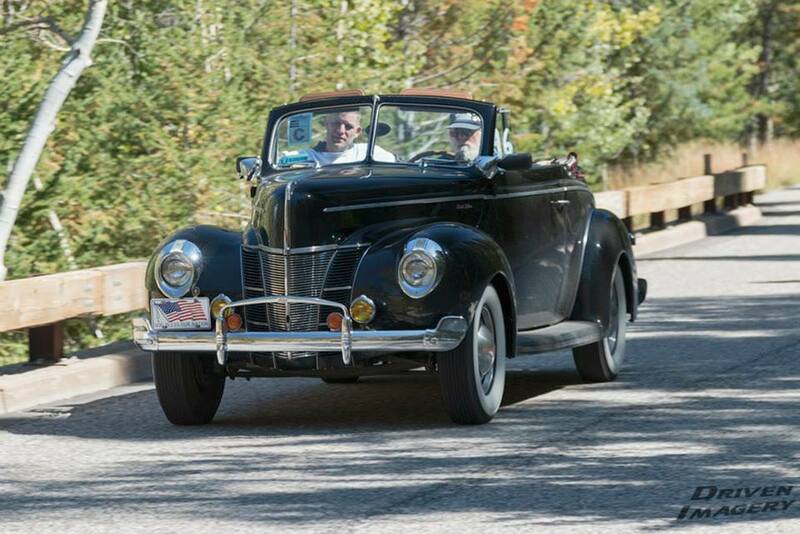 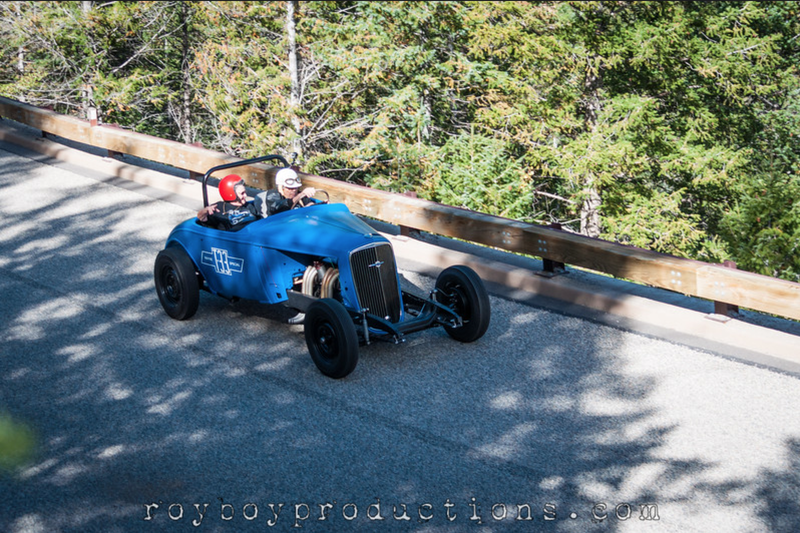 Cal kicked off the 2014 Hot Rod Hill Climb with his wife LuAnne shotgun in T-33. 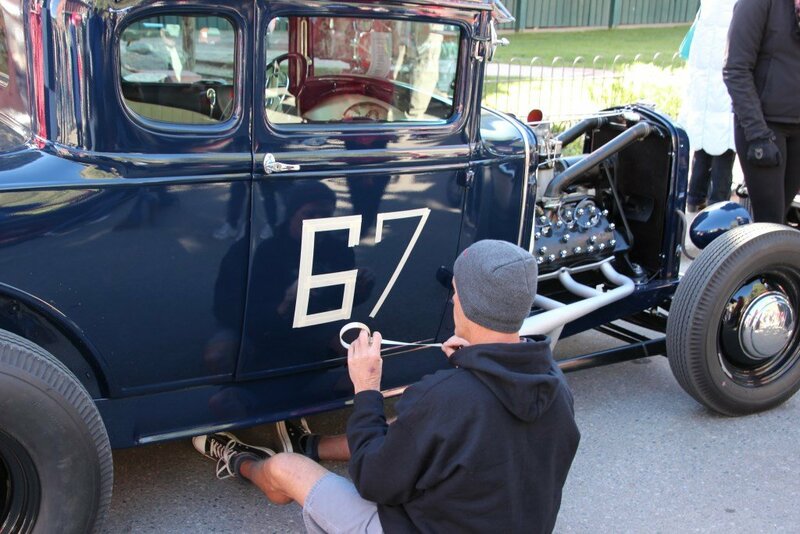 It took a few men to push start the car, and Cal was off like lightening. 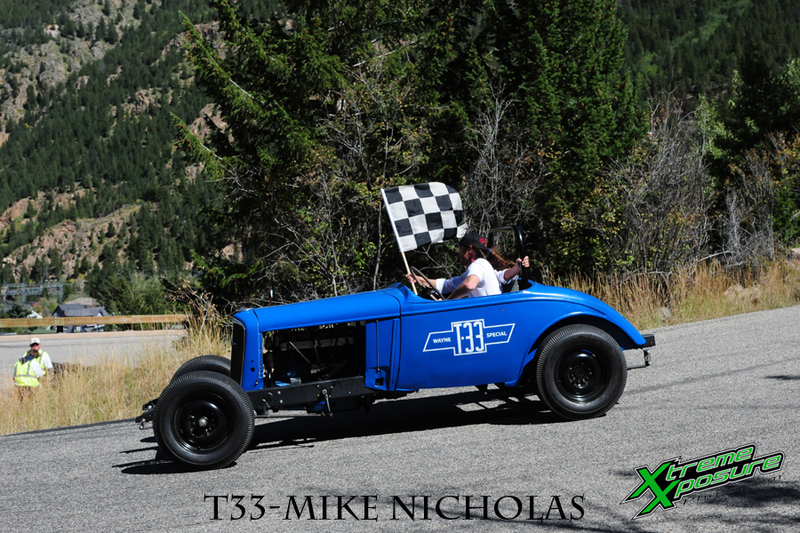 The event was also capped with Mike Nicholas, Hot Rod Hill Climb promoter, taking the checkered flag with his Sweetheart Amy in T-33. 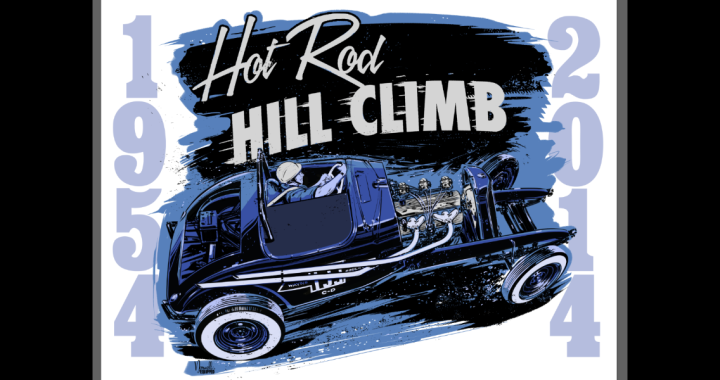 We have a limited number (only 100) of this original artwork by Jeff Norwell, and hand screen printed by Tiny Bird Press.